Feeling nostalgic about that trip to Paris when you visited Angelina or Laduree or maybe even the calissons in Aix-en-Provence? Well fear no more, in Miami you can certainly have some options for French specialties. I updated this post from years ago with the newest additions in patisseries around town so this one is the updated version as of May 2017. Enjoy! The display at Laduree in Lincoln Road where you can find limited edition gift boxes or the signature Maison Laduree boxes. 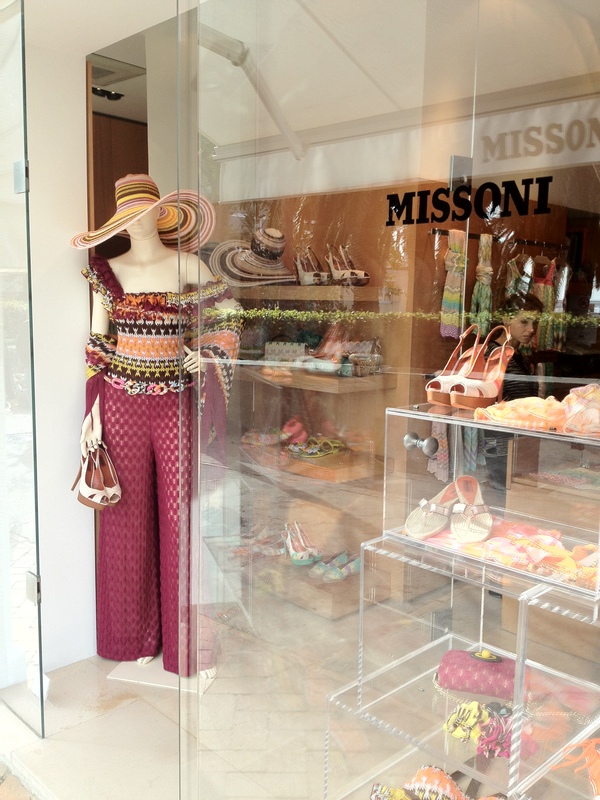 And here is the very first calisson boutique in Miami at Brickell City Centre. You can also customize boxes in different designs. Calissons are originally from Medieval Italy and were introduced to the French court for the second wedding of King Rene of Anjou. We hear all the time that Miami isn’t a romantic city just because is considered mostly a party destination but in the magic city you can still find the perfect spot to dine at candlelight while overlooking at the Biscayne Bay with Miami’s fantastic skyline or maybe just that intimate and charming atmosphere. I updated this post from years ago as of May 2017. Restaurants have changed or closed and I wanted to keep my most recent picks up to date. Enjoy! Casa Tua Lifestyle, more than a charming restaurant located in a historic Miami Beach Spanish Renaissance cottage is also a members-only club on the second floor. 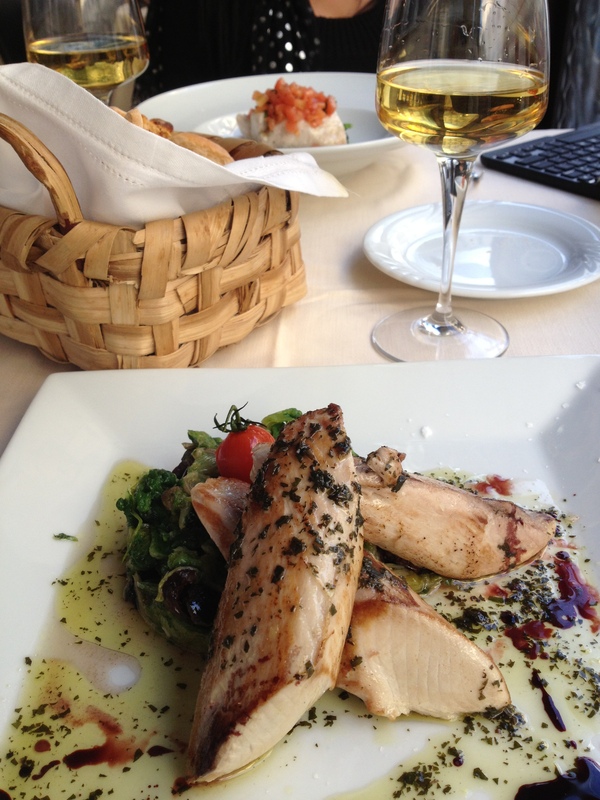 Enjoy superior service, Italian cuisine and great wine selection. Reservations highly recommended. If you are looking for that place with a view which is affordable: “Crazy about you” maybe the answer. Located on 1155 Brickell Bay Dr. at The Mark building with convenient valet parking on location. Romantic dining at “Crazy about You” restaurant overlooking the Biscayne Bay and Miami’s skyline. Lost in paradise but in your own town, that’s how you feel when you arrive to the Red Fish Grill, a romantic waterside restaurant inside Hammock Park that you will be thrilled to discover. The quiet beach at Matheson Hammock Park in Old Cutler Road is the perfect setting for a romantic walk before dining at the Red Fish Grill. The Red Fish Grill is a great hide away restaurant located on a historic coral construction that used to be a beach pavilion. 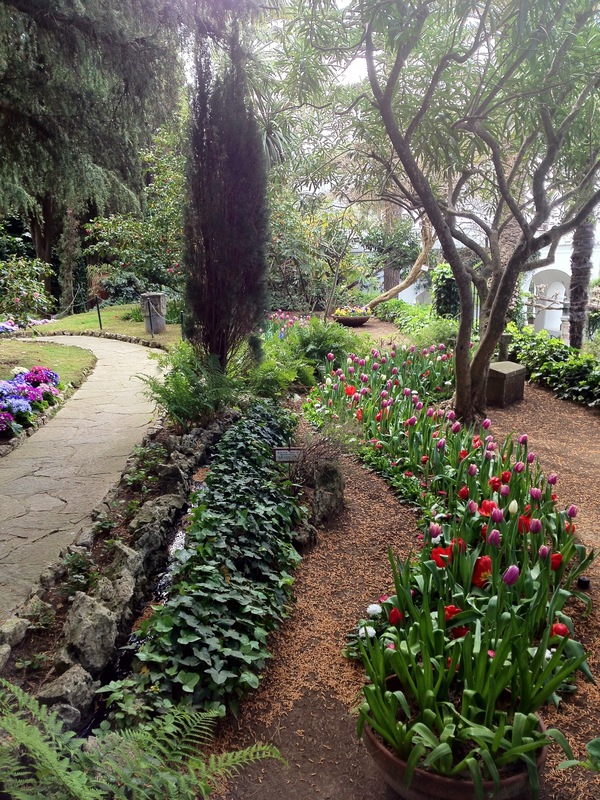 Once you know this place it will be your best kept secret. With so much to do in Miami it is hard to decide where to start your day but if you are in the Downtown area, need a great cup of coffee and at the same time support your local roasters stop by Eternity Coffee Roasters on 117 SE 2nd Ave. They have a roasterie and tasting room where you can choose your grains, make your own blends and they will roast it and brew for you on site. I took my European friends to the tiny shop and they all agreed the coffee was superb, the espressos made just right, the aromas and the blends fantastic. 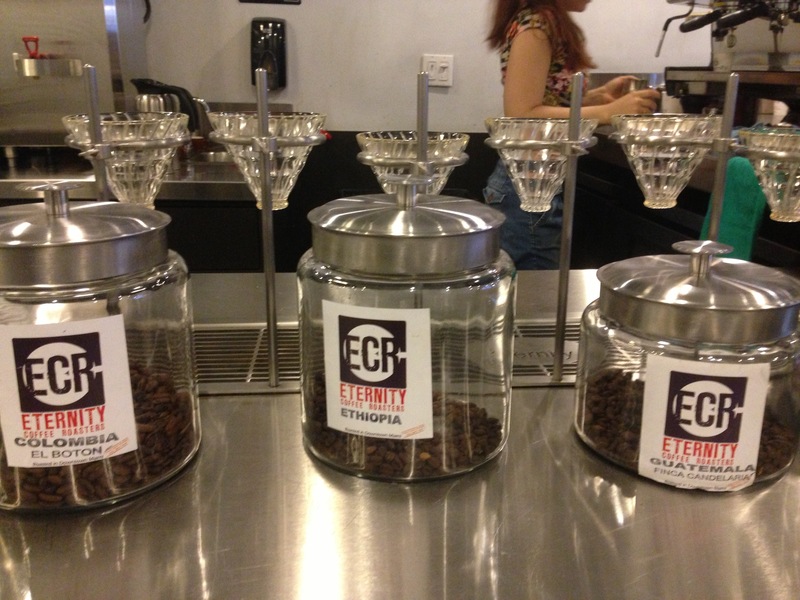 Just like in the wine world, the coffee can be tasted and appreciated, today there are more coffee connoisseurs who are showing interest in the “art of the barista” (coffee barman) So now you know, when you need your Java dose try Eternity Coffee and get the whole experience of coffee tasting. 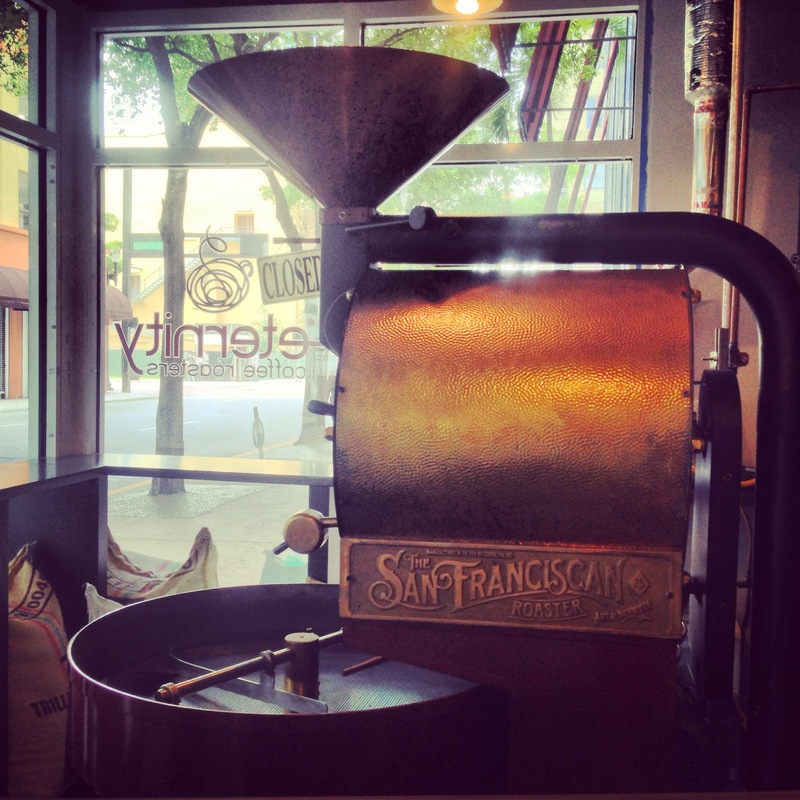 The roaster at Eternity Coffee shop and tasting room. Their single origin grains are mainly from Colombia from Farm direct trades. Choose, smell and taste the finest grains at Eternity Coffee roasters coming directly from the Farms in Colombia, Guatemala and other plantations in the world. 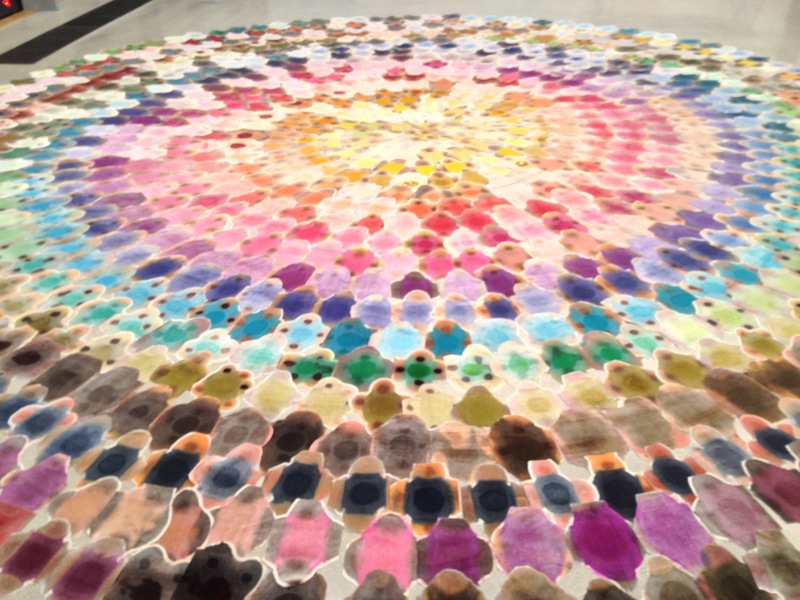 If you didn’t make a trip yet to Miami’s newest Museum the Perez Art Museum Miami (PAMM) there’s no better time to do it then now and there are no excuses to be immersed in the contemporary art world with all this Museum has to offer. Arrive to the Museum by car, foot or take the Metro Mover stopping at the Museum station and you will be right there on 1103 Biscayne Blvd. Each second Saturday of the month there’s a free admission for everyone, a program sponsored by Target. Most of the Latin American Art collection including Botero, Diego Rivera and Wilfredo Lam comes from Colombian-born developer Jorge Perez who donated $40 million in cash and art to earn naming rights. 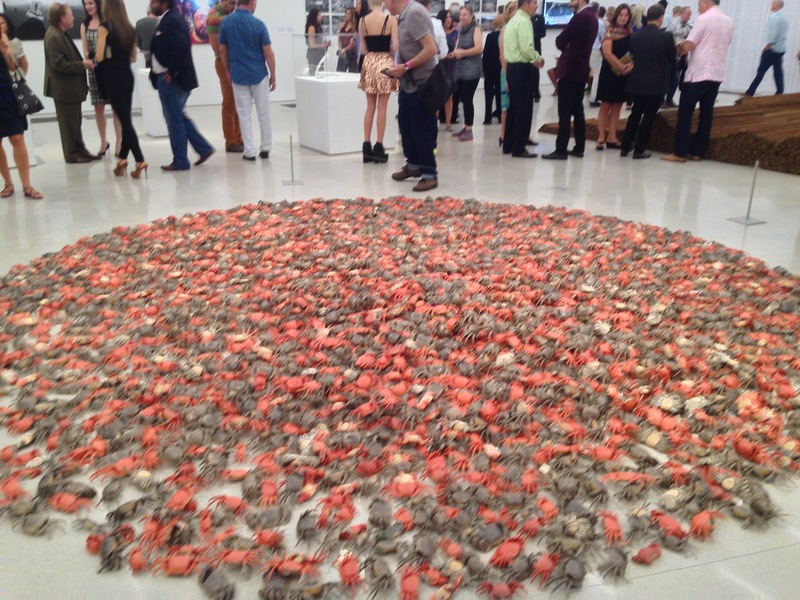 Perez, the son of Cuban exiles, has been a major force in Miami’s urban redevelopment. A visit to the PAMM will definitely open new ways to look at art and think twice when labeling Miami as a less cultural town. Time for lunch? 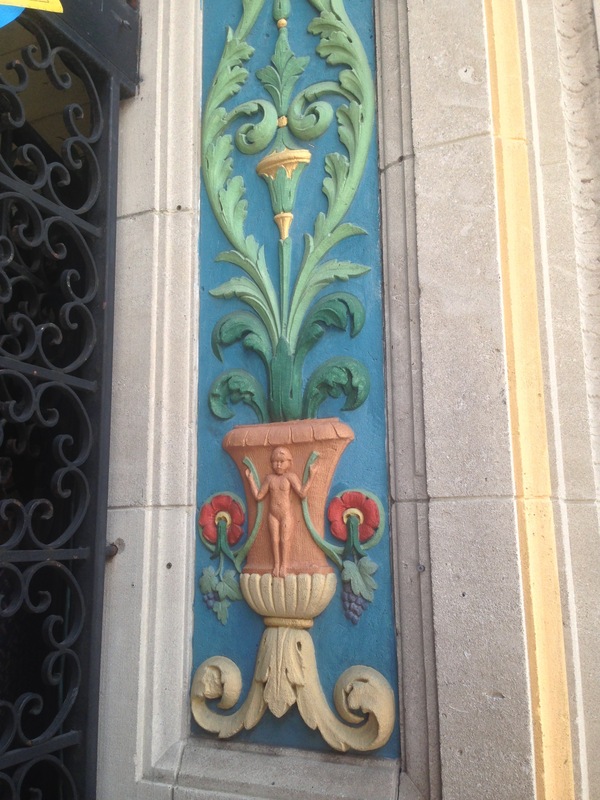 Visit the Historic Miami River neighborhood, one of the oldest in Miami. 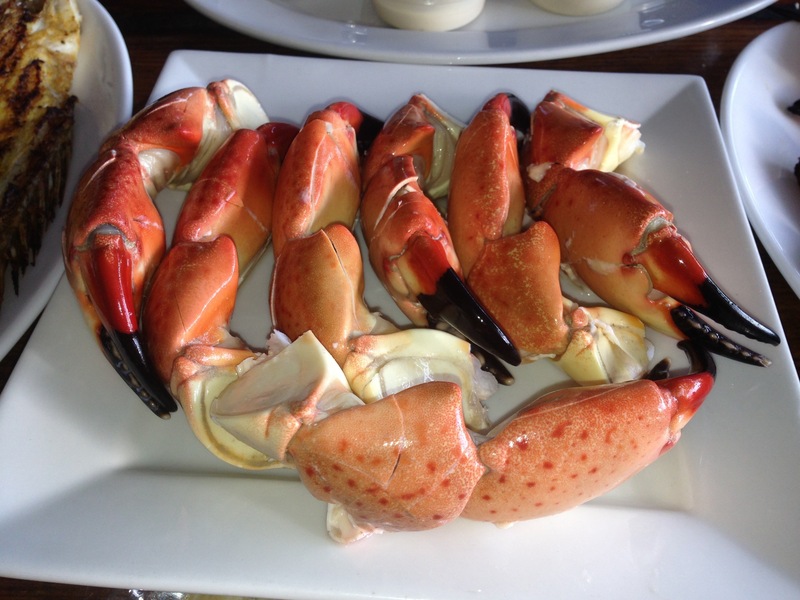 At a settlement from the early 1840’s is where you will find Garcia’s Seafood and Grill Fish Market located on 398 NW North River Dr. you will find fresh fish and seafood from the boats to your plate served with the traditional Caribbean seasonings and flavors. 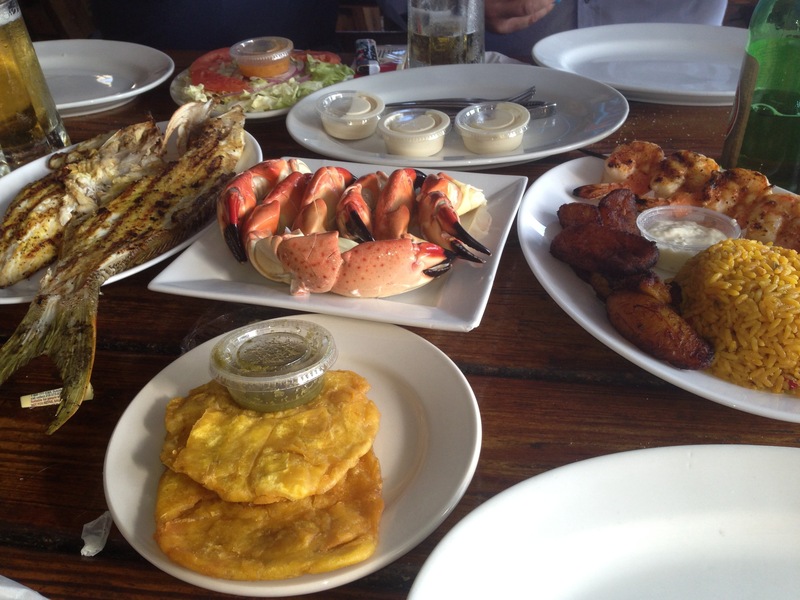 For over 40 years The Garcia’s (a Cuban-born family of 11 kids) have been offering affordable dining with fresh catch grilled to order on a casual riverside setting. 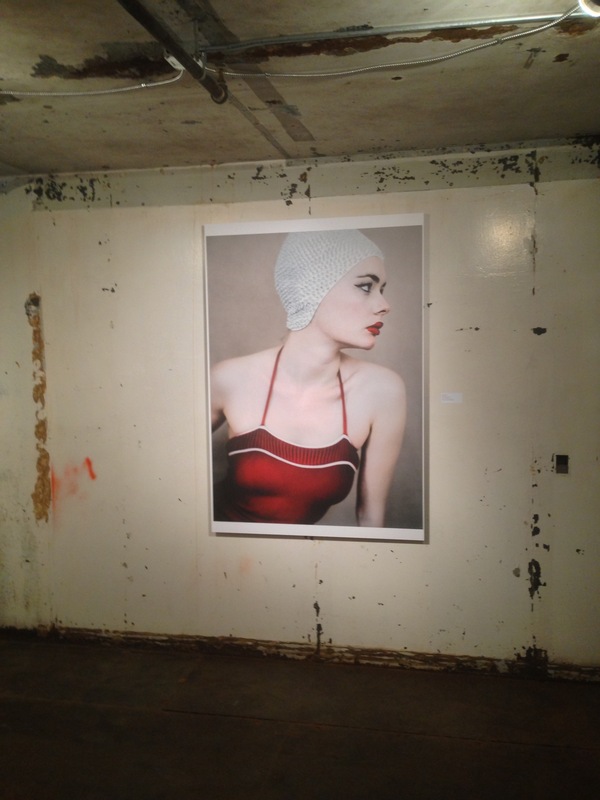 Now is time to visit another great unconventional Gallery on a Historic site in Downtown Miami, CU1 Gallery at the Security Building on 117 NE 1st Ave.
“Look at Me” showcased works by European photographers, most of them with extensive backgrounds in editorial and fashion advertising. 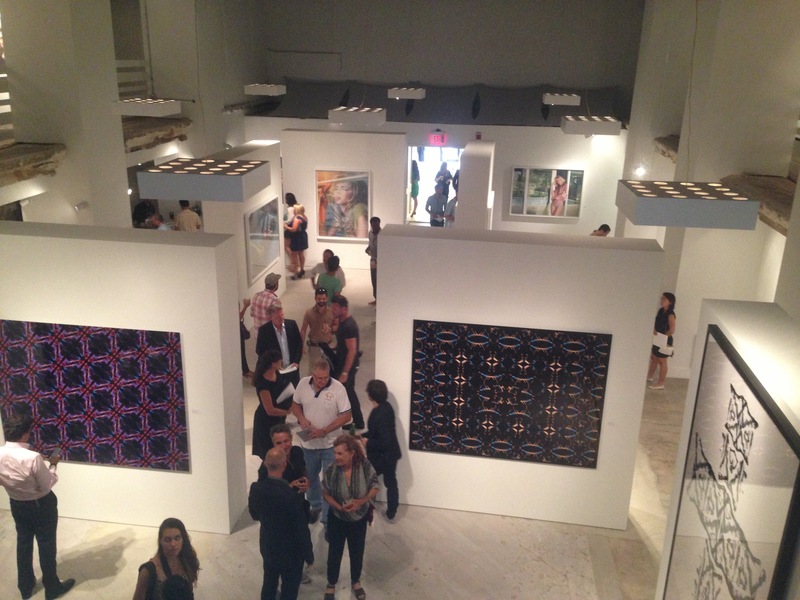 For the European partners of CU1 Goettlicher, Weber, Schmidt and Mueller who believed in Miami’s art life, Downtown Miami will be facing an incredible art renaissance and it’s going to happen. 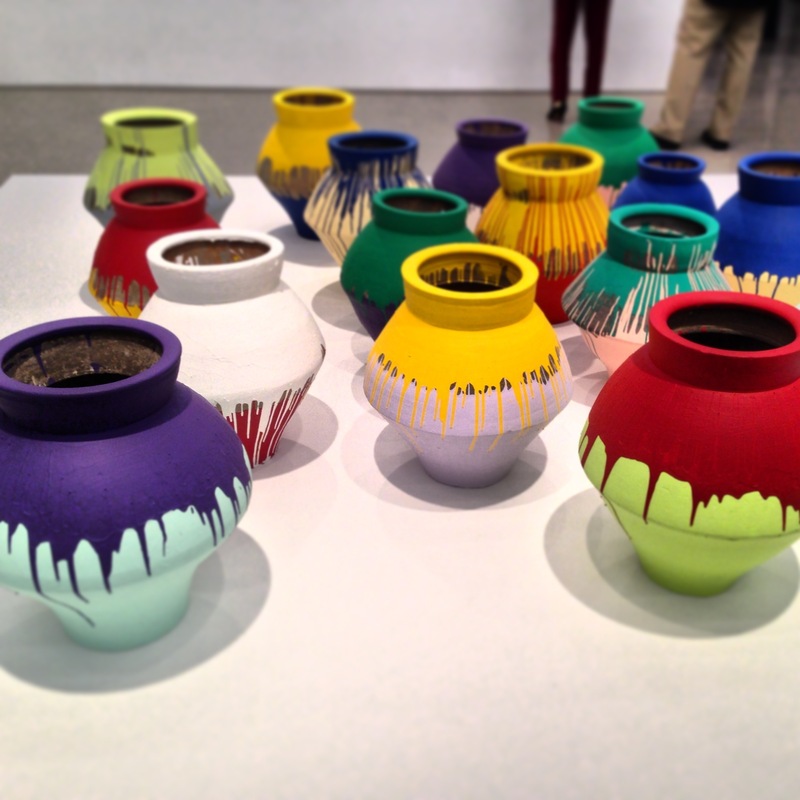 “Eye to Eye” is the current exhibition at CU1 Gallery on view until February 14 2014. What are you waiting for? 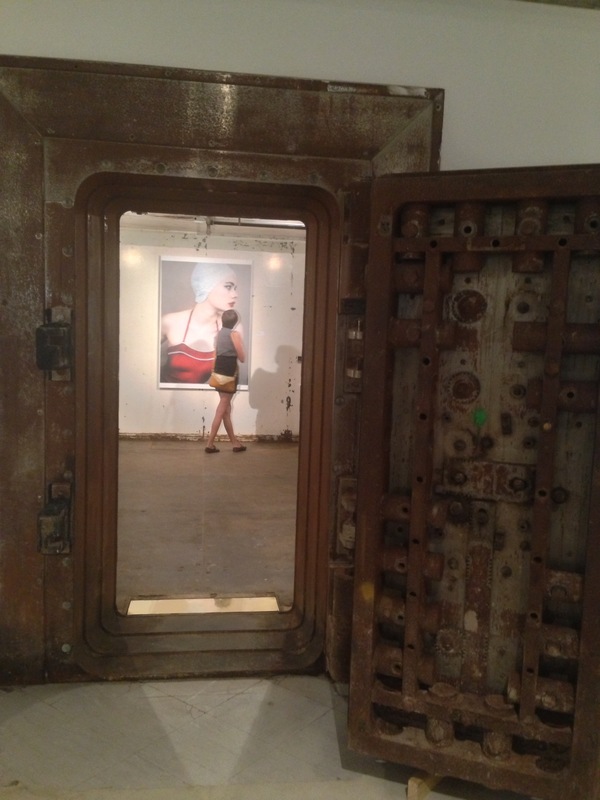 take a look at one of the newest innovative galleries in Miami. 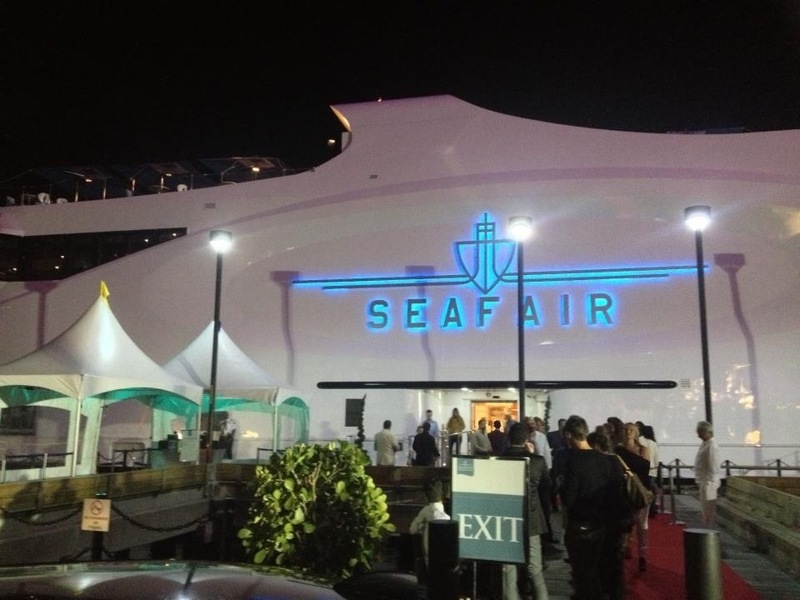 Now get ready for the next art exhibitions on board of the SeaFair docked at the Chopin Plaza next to the Intercontinetal Hotel from January 16th to the 20th of 2014. it is a unique experience to appreciate works of local and international artists showcasing installations, paintings, photography and sculptures. See you on board Miami !!! 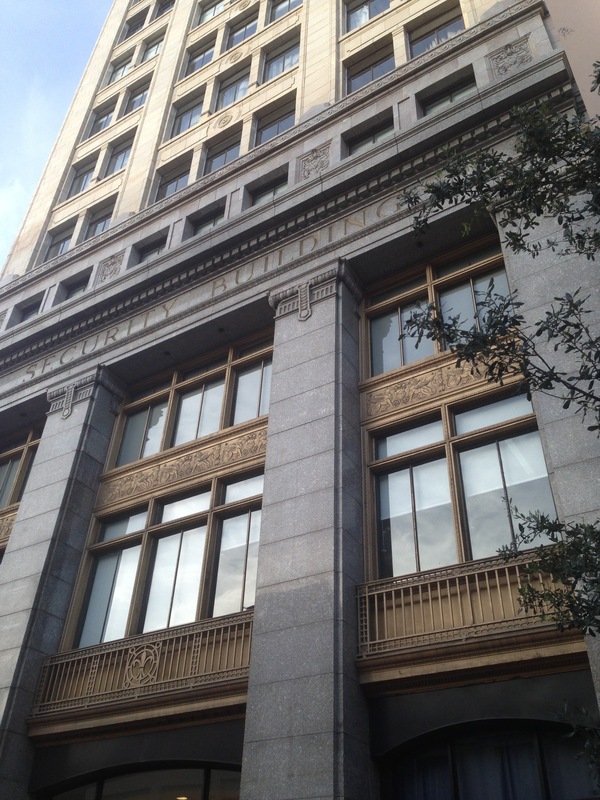 Take a stroll in Downtown Miami like a local and if you live in Miami discover or revisit these great spots once again. 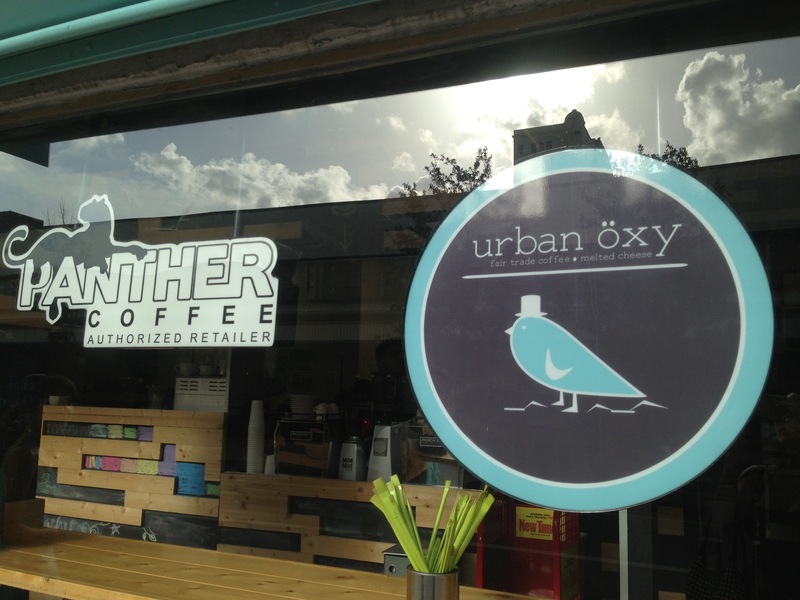 Start with a good coffee at The Urban Öxy proudly brewing Panther coffee , a local roaster located on 101 NE 2nd Ave. 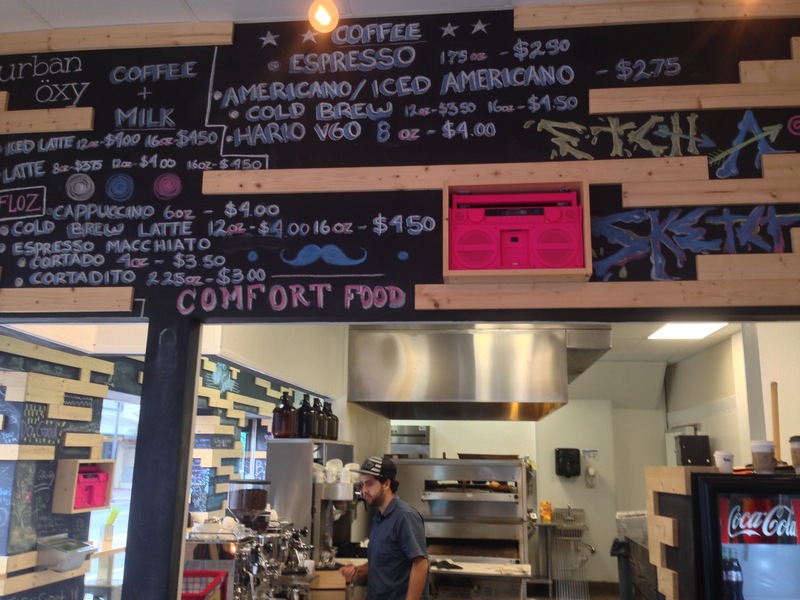 I really love this coffee shop where everything is made from scratch so you can have your coffee the way you want it. Prices are reasonable and the staff is friendly and knowledgeable, try some of the grill sandwiches made to order with roasted artichoke, sun-dried tomato, goat cheese, provolone, Swiss or for the sweet tooth the mini cupcake selection or the homemade oatmeal cookies with pecan, dark and white chocolate chips, cranberry or macadamia nuts, absolutely delicious. Now that you’ve got your coffee and read your newspaper why not taking a visit to the Freedom Tower, just at walking distance located on 600 Biscayne Blvd. 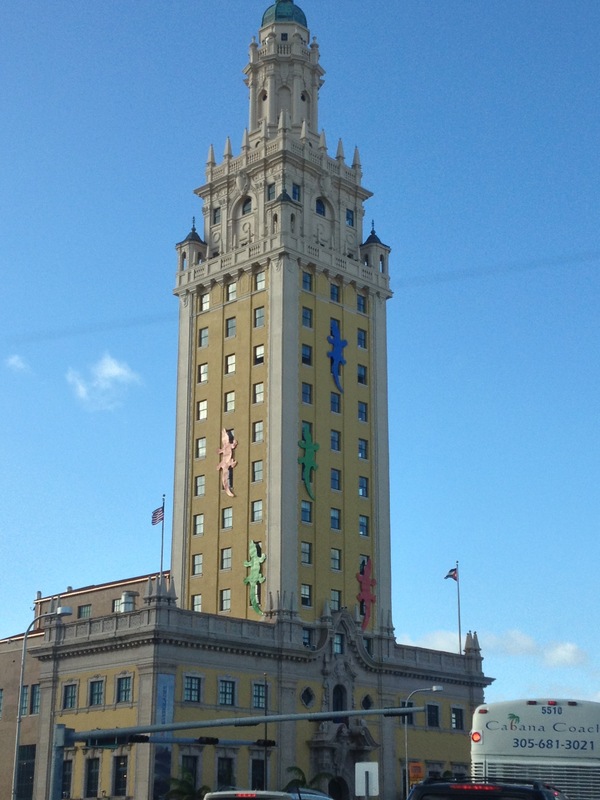 across the American Airlines Arena, the Freedom Tower is one of Miami’s magnificent landmarks constructed in 1924 on the Spanish Colonial revival architectural style, conceived originally for the Miami News, serving later as center for Cuban refugees during 1962 to 1964. 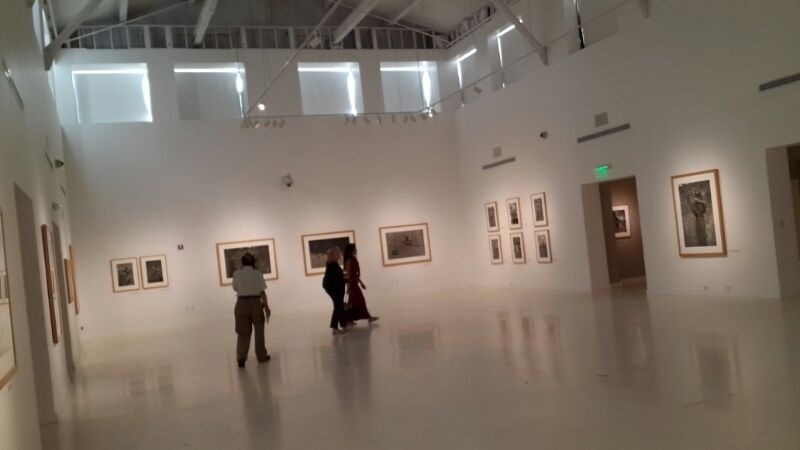 Today is home of the Miami Dade College Museum of Art and Design and you can enjoy the contemporary art and photography exhibits as they are free and open to the public from Wednesdays to Sundays until 5 pm. 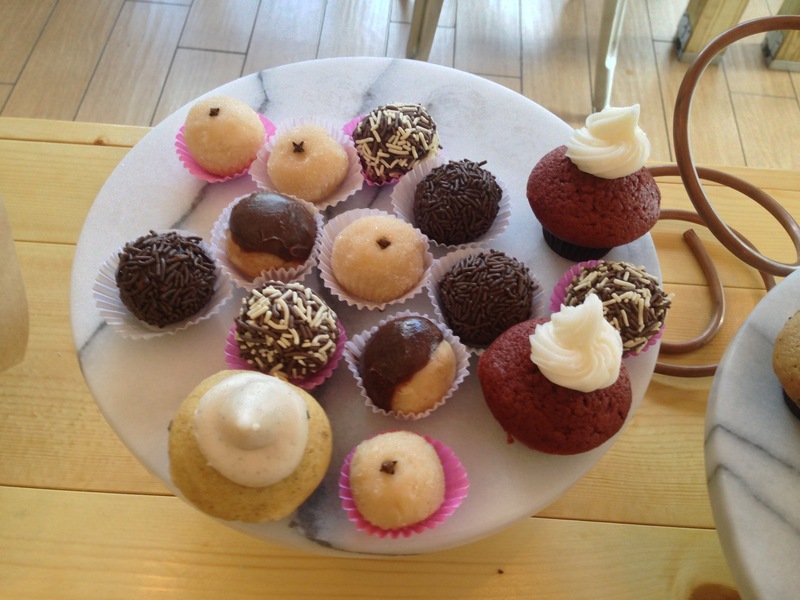 And for those who are craving of cultural things to do in Miami there are no excuses, this is exactly what we will do if we were in NYC going from one Art Gallery to another and then stopping for some coffee and cupcakes, really? At least I will. Now having fulfilled your cultural appetite why not going for lunch just a few blocks away on another historical building of Downtown Miami, yes I am talking about ‘Soya & Pomodoro” a truly hidden gem, a place were you can seat and relax like in NYC’s SOHO while enjoying comfort Italian food on a very particular setting. 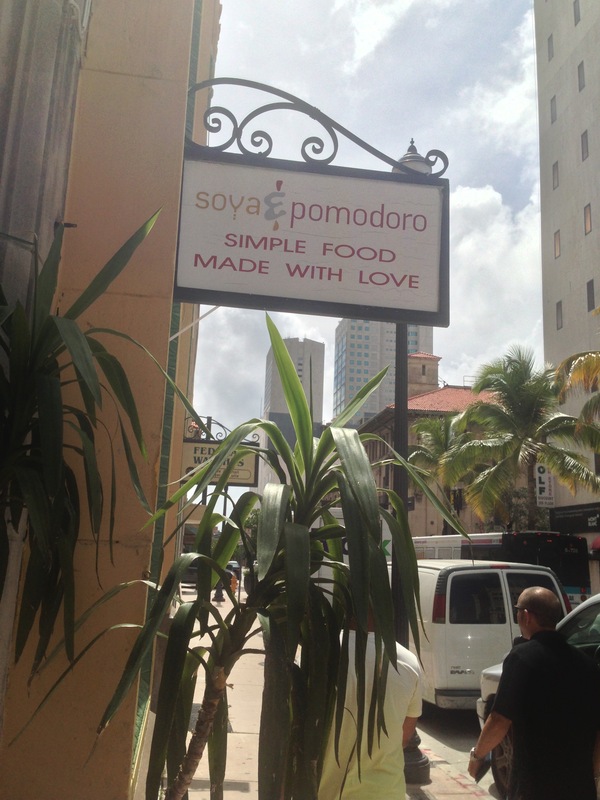 The casual dining at Soya & Pomodoro located on the building that is the last remaining intact arcade in Downtown Miami featuring large arches and pilasters with masonry medallions exhibiting symbols of Florida’s history. 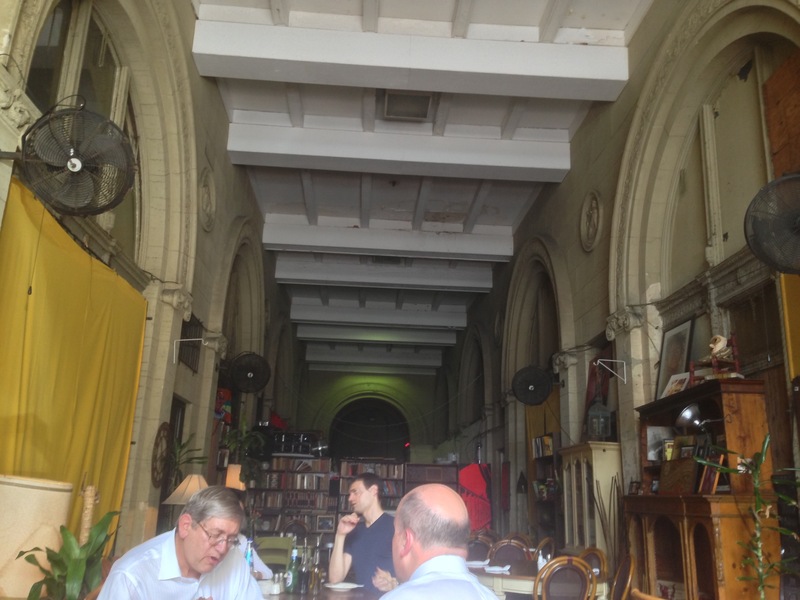 an alternative atmosphere, this is the place to be. 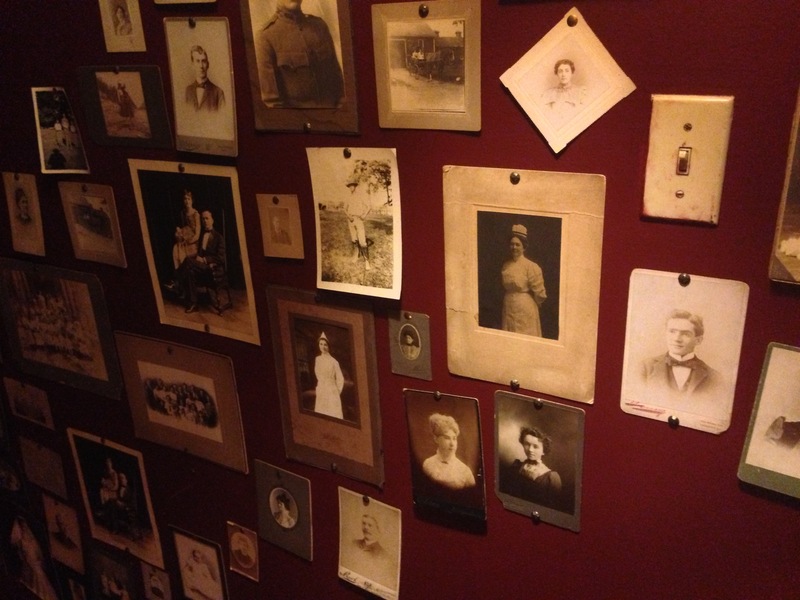 Vintage pictures and postcards on the wall going downstairs to the cellar at Le Chat Noir for live jazz. 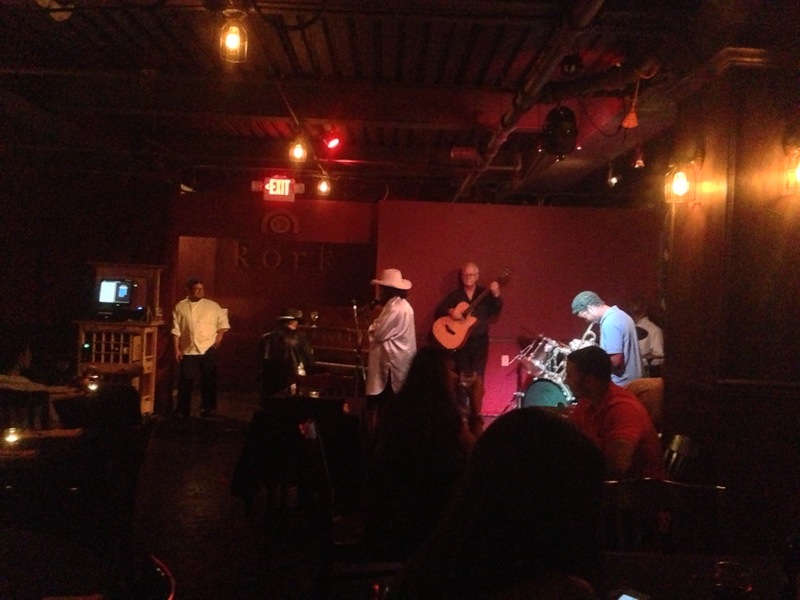 You can order also appetizers and wine at the Bar while listening to the finest jazz music. 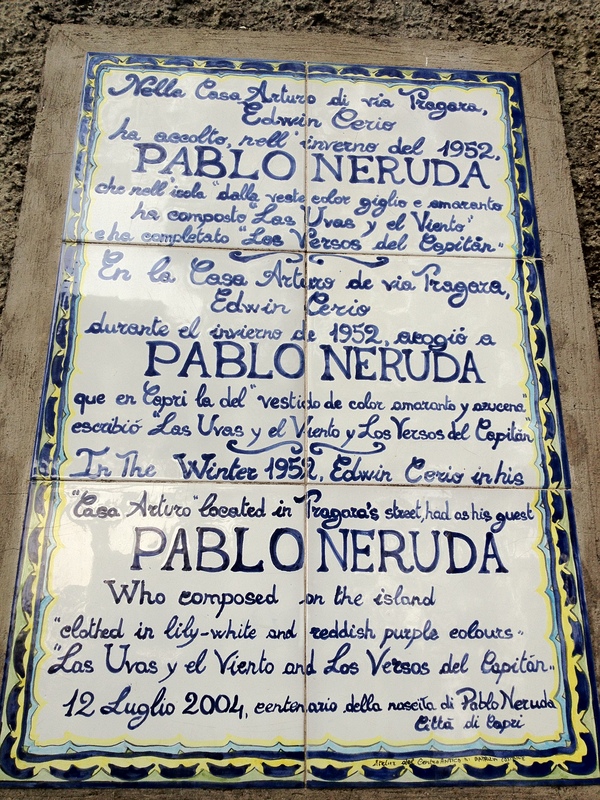 Hope you enjoy this short Downtown Miami tour for a day, keep coming to the blog for new places to dine, shop and live a cultural life in Miami. See you soon !!! (C) 2014 Montserrat Franco. All pictures by me, except for the ones with credits. There’s no doubt one can live the “Dolce Vita style” in Miami and if you don’t think so, just try some of these suggestions when coming to Downtown and Brickell areas. 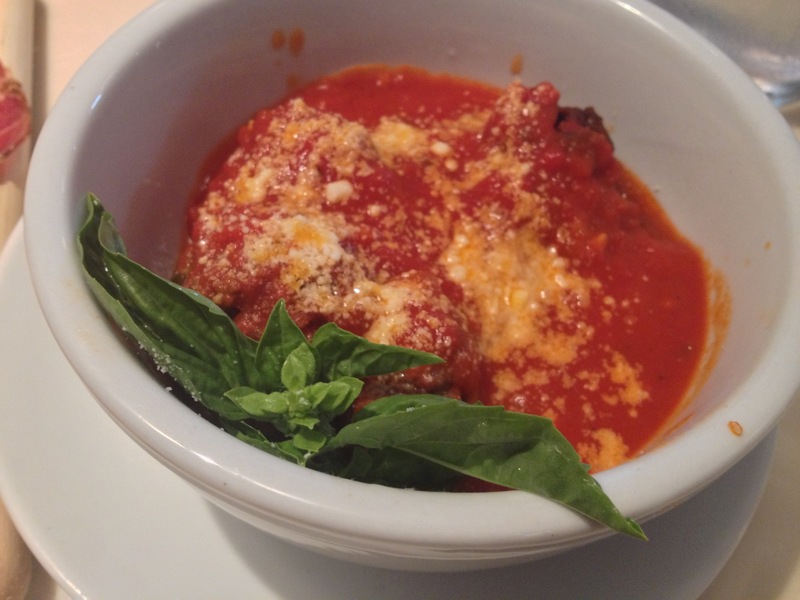 With so many options in Italian dining because of the new wave of Italians coming to the magic city for fun, for business and for a change like everybody else who is part of this big melting pot. Miami can’t be more blessed than now starting with the big Brickell development boom less than a decade ago when Trattoria Rosinella and Perricone’s Restaurant and Marketplace opened followed by Segafredo and more recently Toscana Divino and world acclaimed Cipriani. 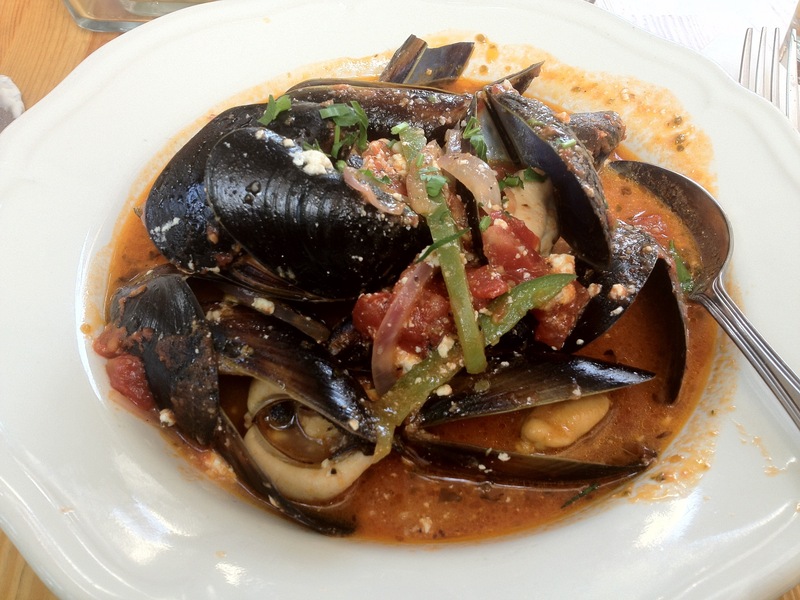 I love the “Cioppino” served at Perricone’s. 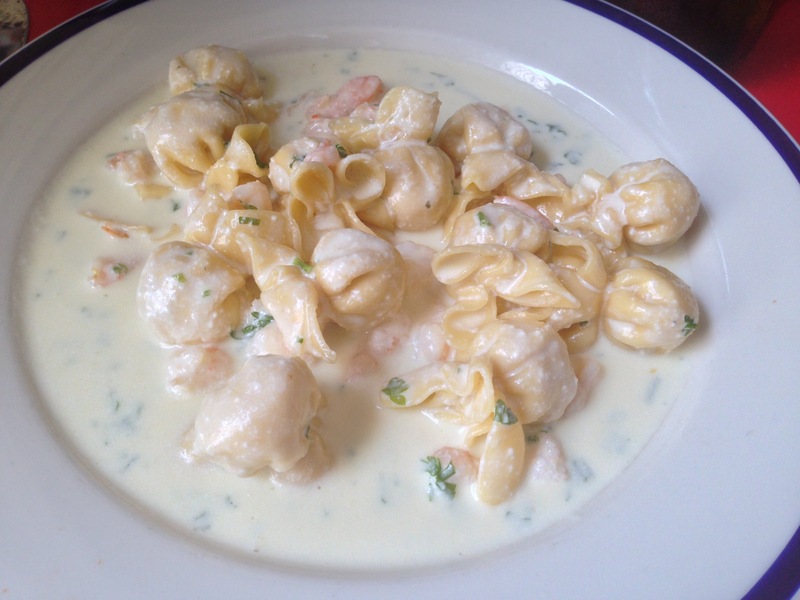 This is a traditional Italian American dish originated in the San Francisco Bay area, it was originally the fishermen’s stew made with left overs from fish and seafood dishes. At Perricone’s you will find the same ambiance you may encounter in New York’s Little Italy district; friendly staff, reasonable prices and generous portions, typical of Italian American eateries, the market with a very good wine selection, artisan chocolates and everything you need for take away when on a rush for a quick home fixed up, just try the “antipasti” (appetizers) like stuffed peppers with rice or porcini mushrooms or the stuffed tomatoes with mozzarella cheese. They have their own extra virgin olive oil and table wine, Perricone’s is definitely a place for a business lunch in the quiet and lush gazebo surrounded by tropical plants so characteristic of our territory. For a more intimate dining with candle lights you can opt for the charming “al fresco” garden or one of the cozy rooms in the wooden cottage. At Perricone’s they are so cool they will even pick you up from your hotel or office on their own Eco friendly cart service. Trattoria Rosinella is the perfect spot to start your day “alla Italiana” before going to work (if you have time of course) Italians take their time to stop by the local coffee shop for a Capuccino and “cornetto” (a pastry filled with Nutella, fruit jam or plain) you can get yours freshly made at Rosinella’s bakery. This family owned restaurant and bakery has always a lunch special menu of the day with home made pastas and fresh sauces made from scratch and aromatized with garden herbs. Coming myself from a home cooking tradition I can tell when mamma is cooking in the kitchen and that’s exactly the same feeling you’ll get at this mom and pop eatery where fresh ingredients are the key to their success, simple dishes made to order and a culinary knowledge passed from generation to generation making the soul of a true trattoria and guess where? In the heart of Brickell just across from the newest Italian ultra modern and design development “Millecento” by Pininfarina. The bakery has always something to take home or to taste right there. I love their fresh bread selection and pastries. Now I am going to brag about this place and is one of my favorites spots after work, it will be yours too once you try it. Just stop for an aperitif by the bar inside Toscana Divino and get some “antipasti” with it, go for one of the classic Italian drinks or a glass of Italian wine (and their wine list is pretty extensive) well selected from the Tuscan region with some cold cuts and cheeses. I love their burrata plate with arugula and pomodorini (cherry tomatoes) always served with a small dish of sea salt and their aromatic extra virgin olive oil from Tuscany over some warm home made bread. 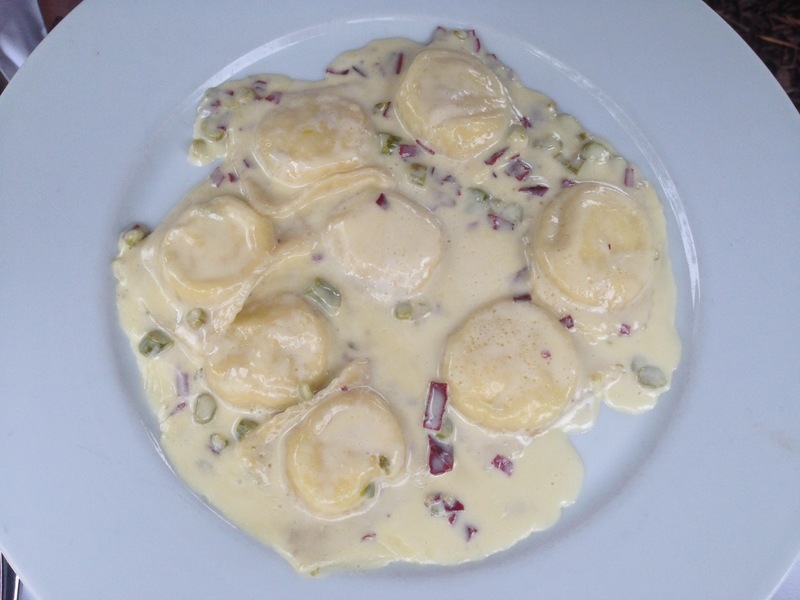 Toscana Divino is the highest expression of modern Italian Fusion cuisine with the talented and creative executive Chef Julian Baker who gets inspired blending Tuscan flavors adding old world touches. 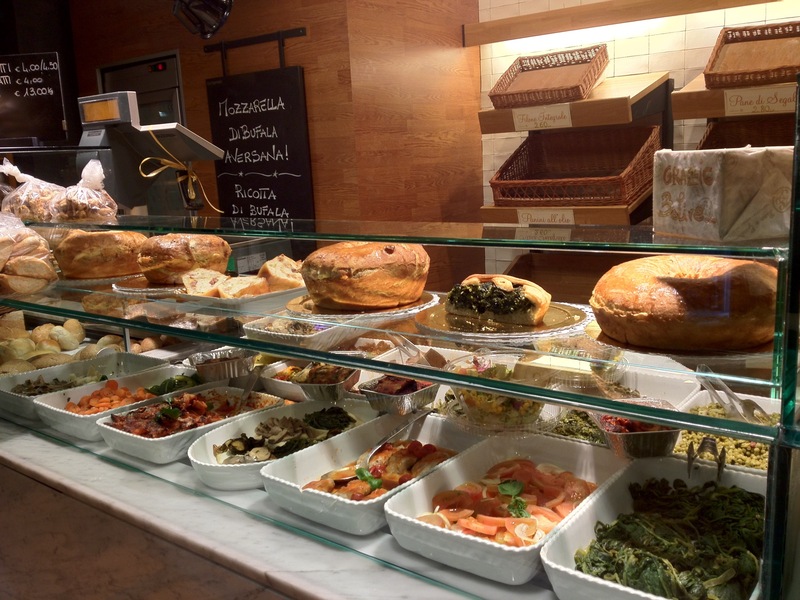 Toscana Divino is also a one stop restaurant and fashionable place where you can find the finest handmade goods from Florence like those oversized Italian leather purses or the stylish Tuscan glassware that is used at the Restaurant. 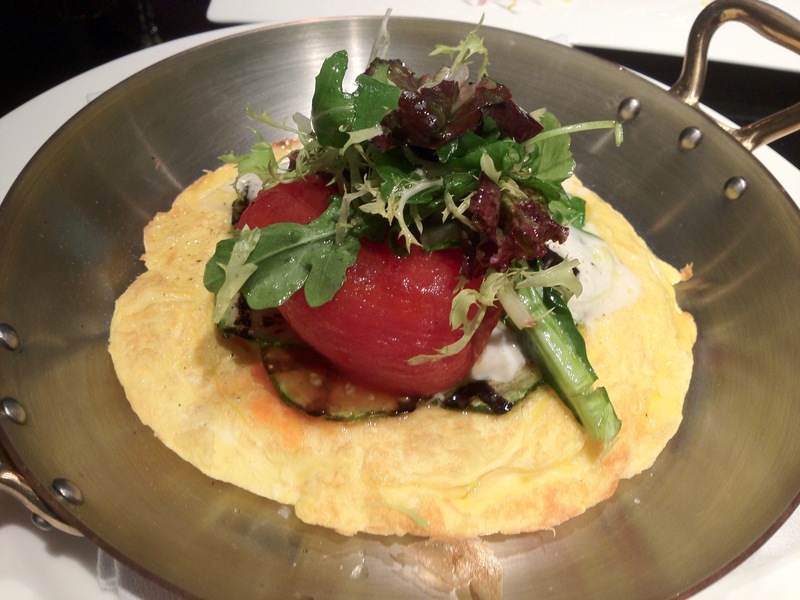 The brunch is superb and for those who love wine, good news, they also host monthly wine tasting and classes. 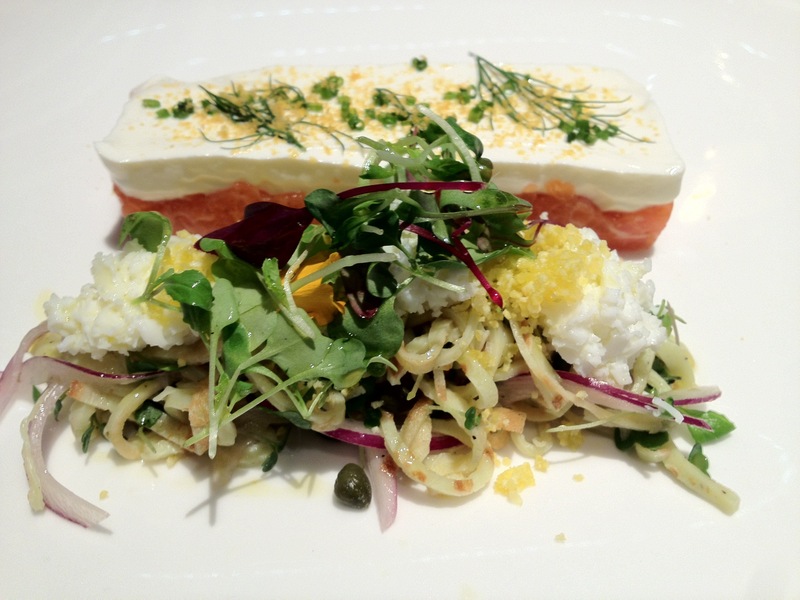 So if you shop around Mary Brickell Village and decide to take a coffee pause and a decadent pistachio cake; an aperitif with friends after work, a business lunch or a quality dinner with that special one, Toscana Divino is the place. Segafredo is definitely the meeting point in Brickell, a casual and modern baroque seating outdoors and indoors with trendy lounge music spinned by local DJ’s has been for years the choice destination for young professionals. 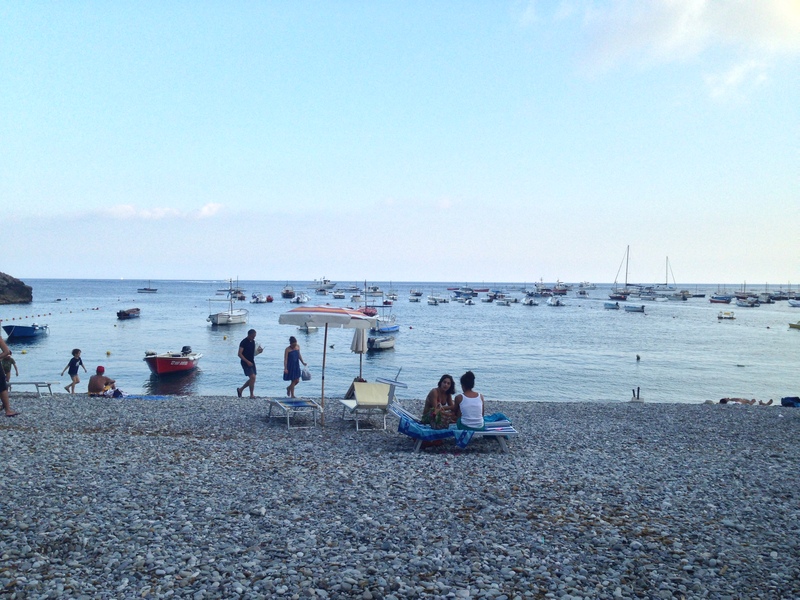 I like to go to Segafredo at sunset for an aperitif or to chat with friends I haven’t seen in centuries. The music might get too loud after 9 pm when the drinks and cocktails are the best option. Their cocktail menu is fantastic, try their specialty coffee drinks like Espresso Margarita or Coffee Martini made with a double shot of Segafredo Zanetti coffee. From Thursdays trough Saturdays Segafredo’s night club Spazio Nero is open with bottle service or drinks at the bar. The mini club gets packed with the local crowd, the resident and guests DJ’s spinning to the latest progressive house music. Very soon with the opening of the new SLS Hotel and Residences, Brickell’s nightlife will take an entire new spin and we can’t wait for it to happen. 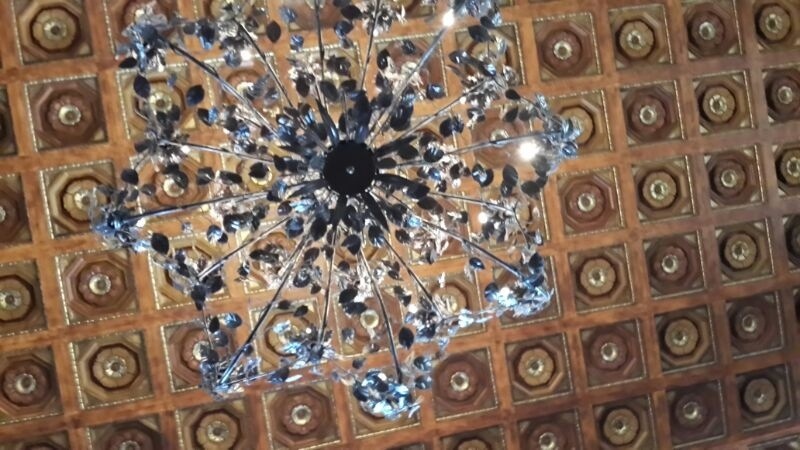 For more than 80 years the Cipriani family witnessed film stars, socialites and paparazzi at their landmark Harry’s Bar in Venice; from Sophia Loren to Greta Garbo, Fellini and Marcello Mastroiani, they all came to dine and be seen at the legendary Harry’s Bar. In 1948 the Bellini cocktail was created there and now you can get yours at Cipriani in Brickell/Downton Miami location. 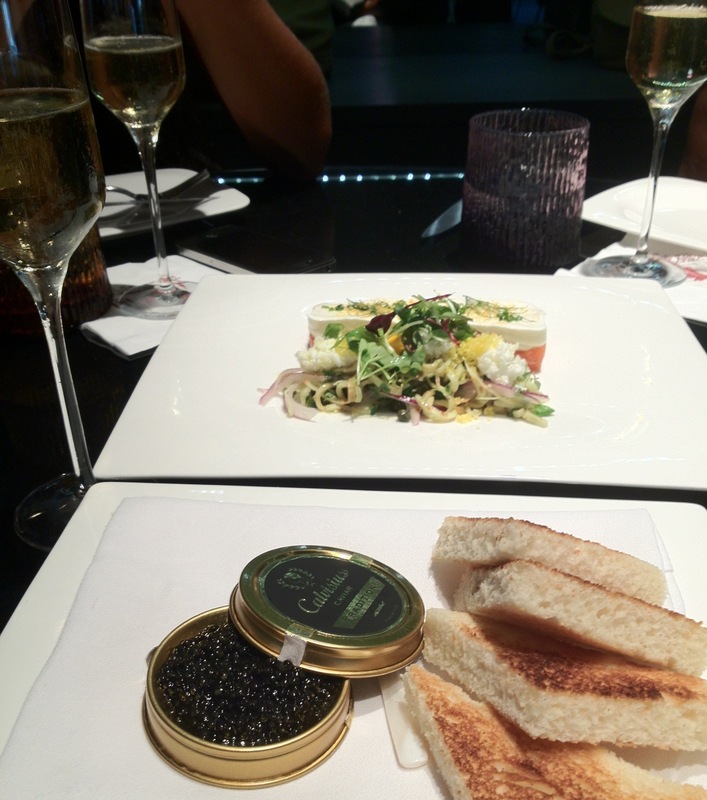 The impeccable service at Cipriani restaurant inside the Viceroy Hotel and Residences in Brickell. Cipriani is a symbol of Italian fine dining around the world. 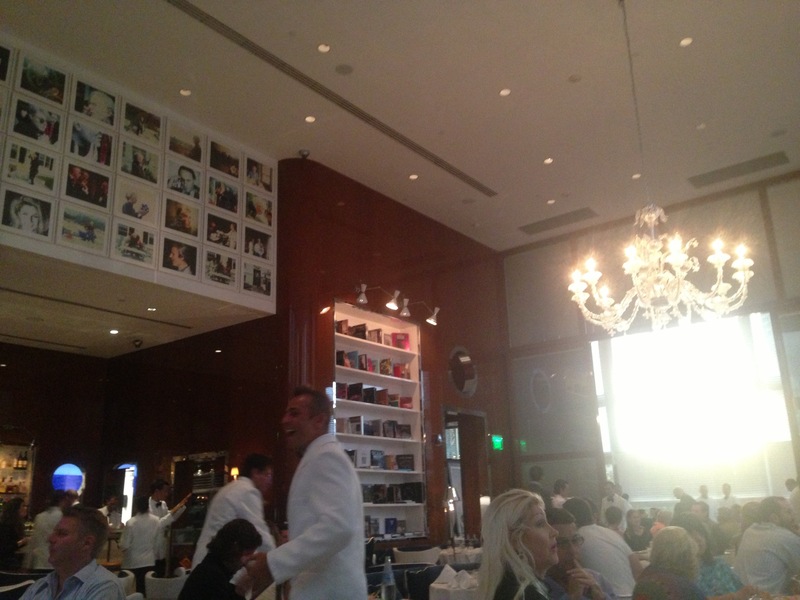 Cipriani is all about “who is there” and “who has been there” Can’t get enough of Sobe’s glamorous dining at top restaurants in 5 star hotels? Well then you come to Cipriani for more and you never know who is going to show. The celebrity approved restaurant is finally here in Miami. Reservations a must and dress to impress attire is suggested, after all, don’t you want to show off those new Giuseppe Zanotti design shoes? 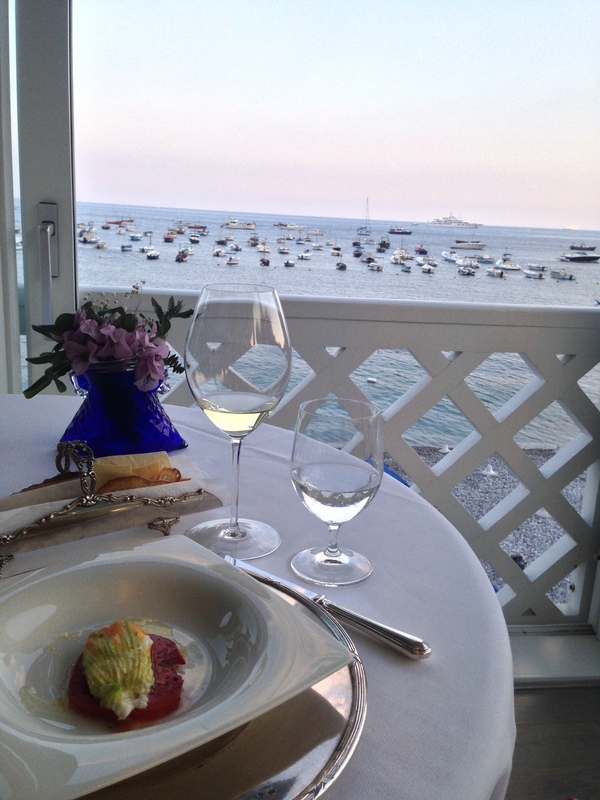 The Carpaccio was invented in the 1950’s at Harry’s Bar in Venice founded by Giuseppe Cipriani. 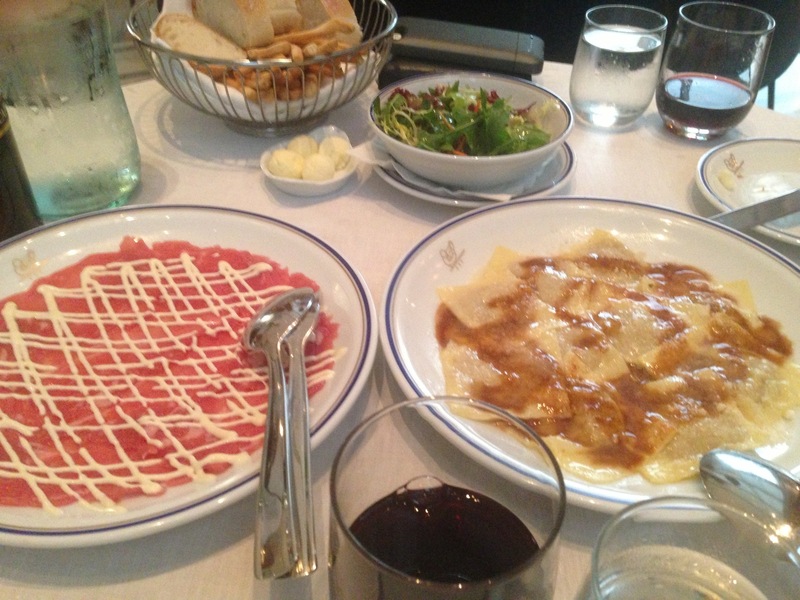 Today you can taste the Carpaccio at Cipriani Brickell and be part of years of culinary history. 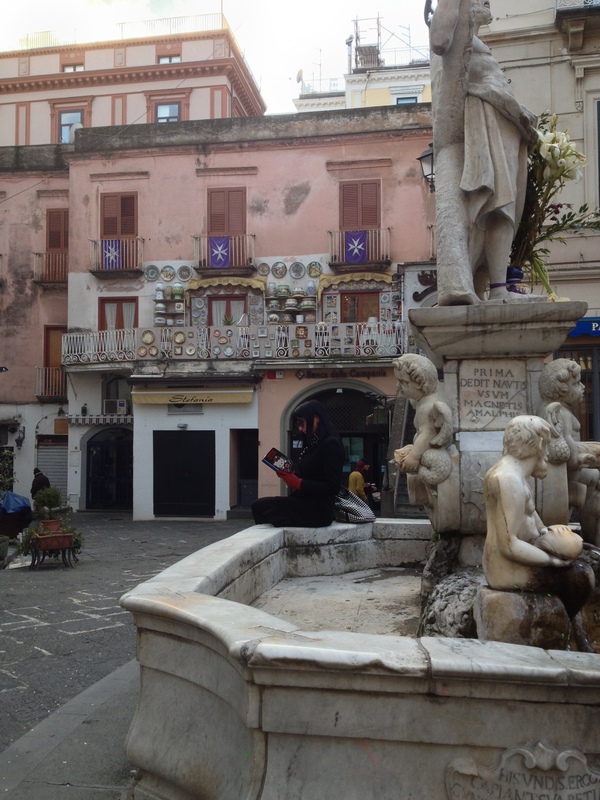 For the fashionable pair Domenico Dolce and Stefano Gabbana, their beloved Sicily is an endless font of inspiration. With several collections on a row from New York to Milan Fashion Weeks they take us on a tour to rediscover Sicilian traditions, architecture, and history through Fashion. The sumptuous gold-thread embroidery, religious and devotional hand work as seen on the Monreale Cathedral in Palermo with the most stupendous Byzantine mosaics. 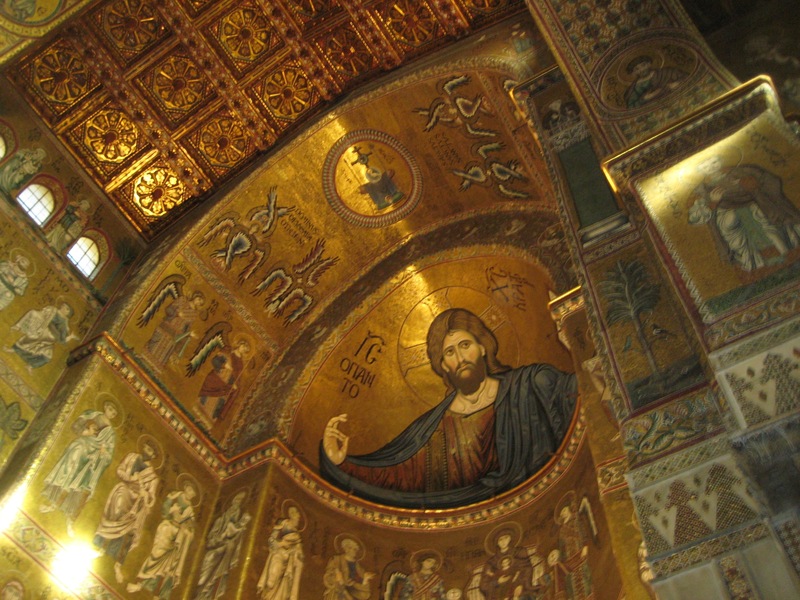 The Cathedral of Monreale is the pinnacle achievement of Arab-Norman art. Founded in 1172 by William II. 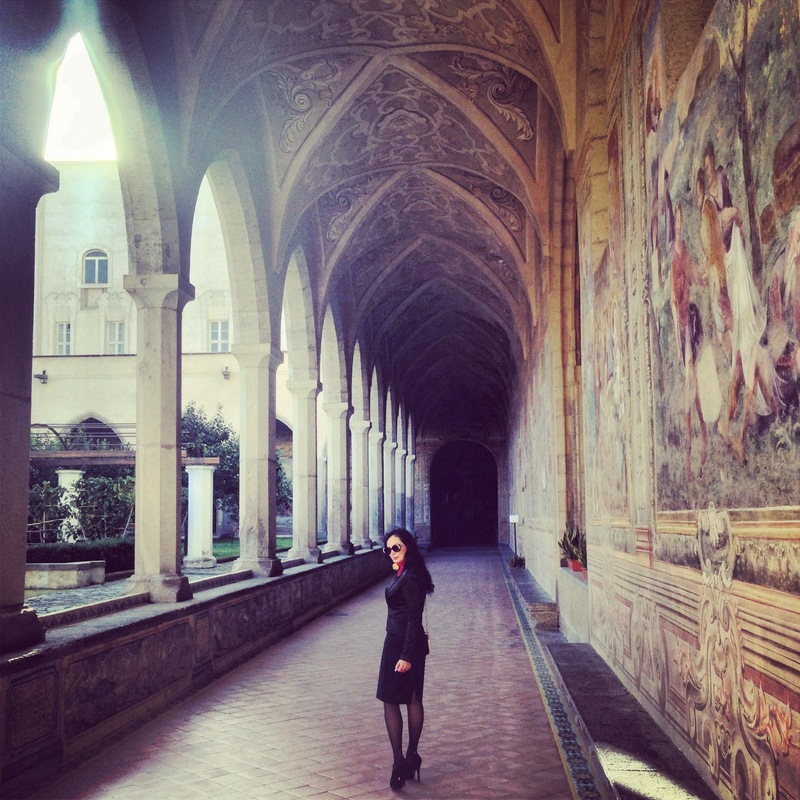 A Benedictine Monastery was built next to it. Details from the runway at the Milan Fashion Week 2013. The sumptuous gold, the Cardinal red, the Sicilian widow black and the pure white. This collection is a romantic view of the Sicilian women going to Church, wearing their lace veils and rosaries, the accessories are exaggerated with bejeweled crowns that makes them part Saint and part principessa. In Dolce & Gabbana tailored suit during one of my visits to Southern Italy. 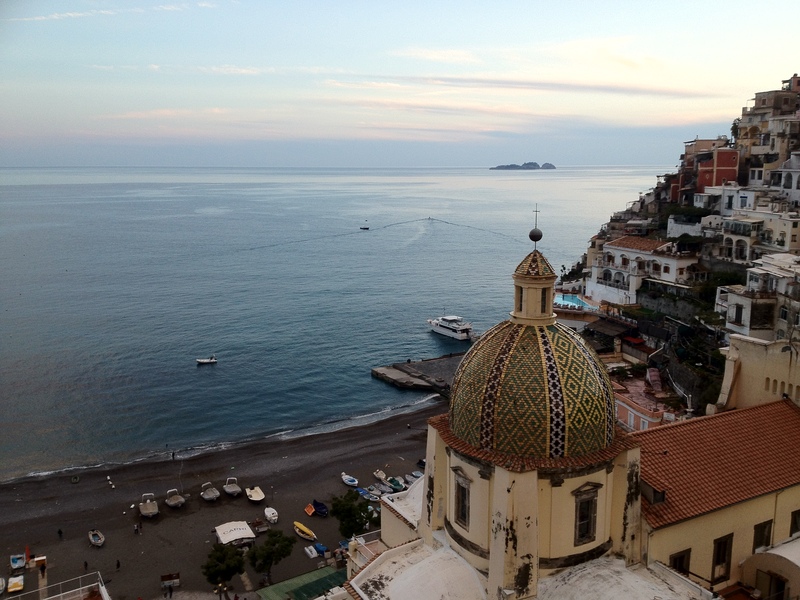 The 2013 Fall/Winter Collection is all about Domenico Dolce’s homeland, honoring the materials of homespun craft (needlepoint, tapestry) the faded baroque splendor in the palaces and basilicas of Southern Italy, an invitation to look deep in to our lost traditions and beliefs, no matter what they are. The Faraglioni, the island distinguished rock formations. The myth about Capri goes back to Homer’s epic tale “The Odyssey” when Ulysses and his troop were going back to Troy, they couldn’t resist the temptation to hear the seductive songs of the Sirens around today’s Capri, they filled out their ears with wax so they won’t listen to the Sirens and kept navigating but they crashed in to the stones and vanished. 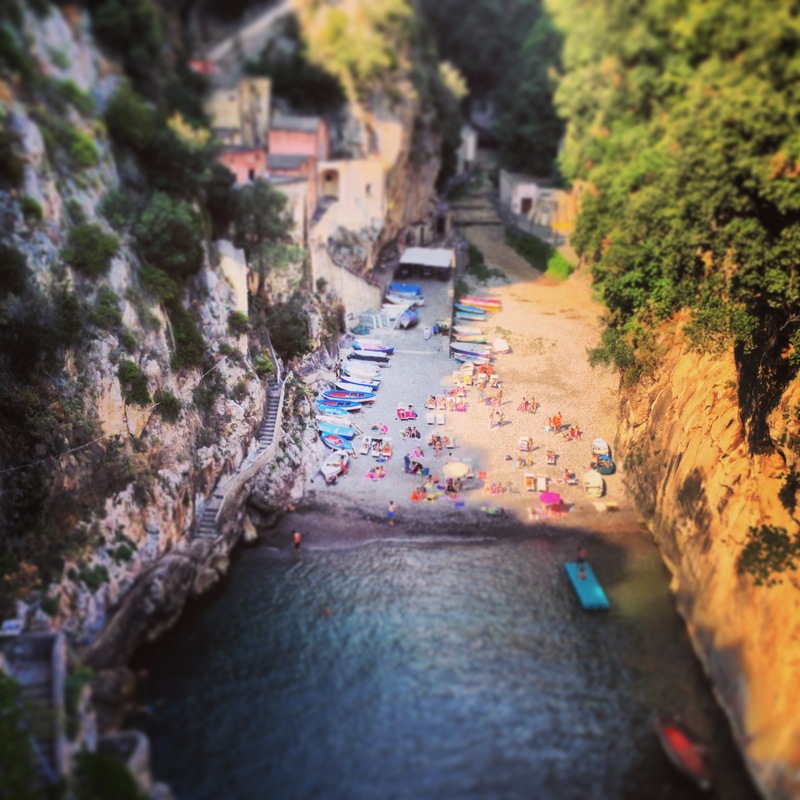 Of course you won’t vanish like Ulysses’ troops in Capri but you will be so tempted by the natural beauty. 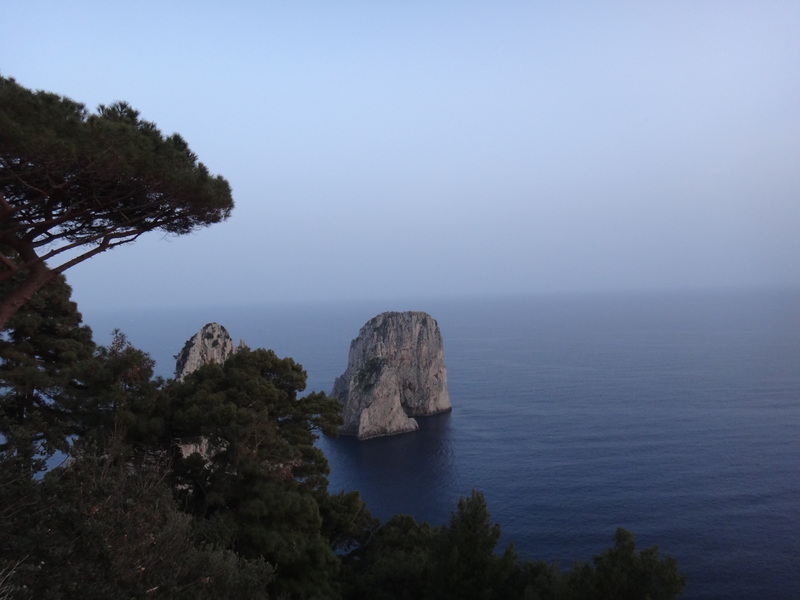 One of the trips you can do is on a boat to the Grotta Azzurra (The Blue Grotto) where Romans used to worship the waters. 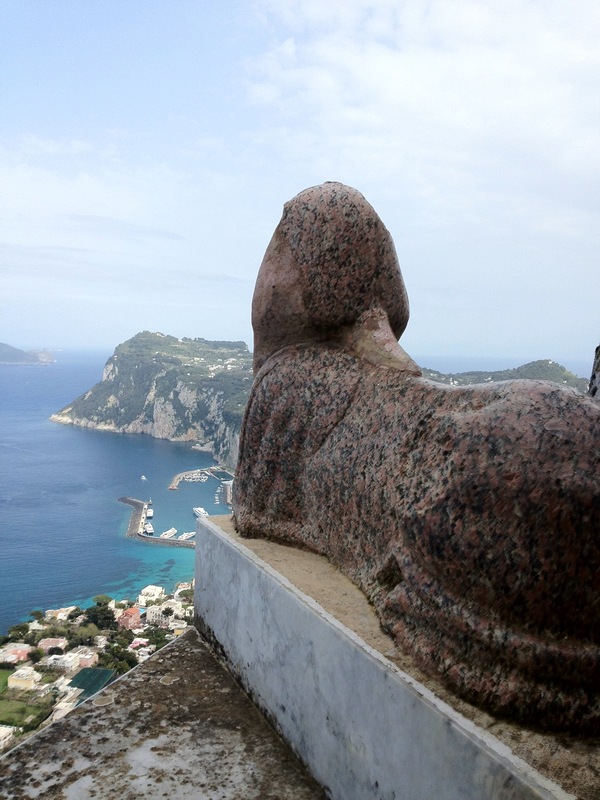 Capri is the world’s first resort, dating back Emperor Augustus (29 B.C.) 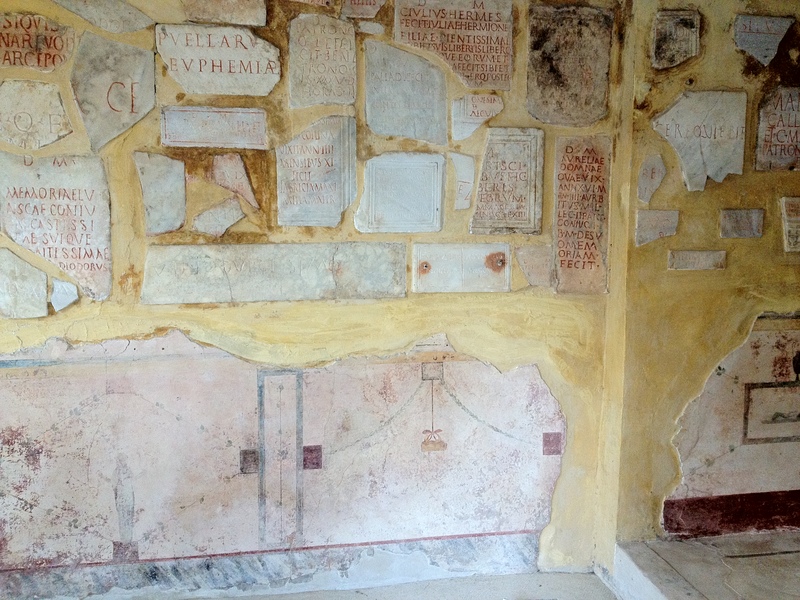 at that time Capri was under Naples rule, Augustus gave to Naples the Island of Ischia and turned Capri in to his very own private Resort. 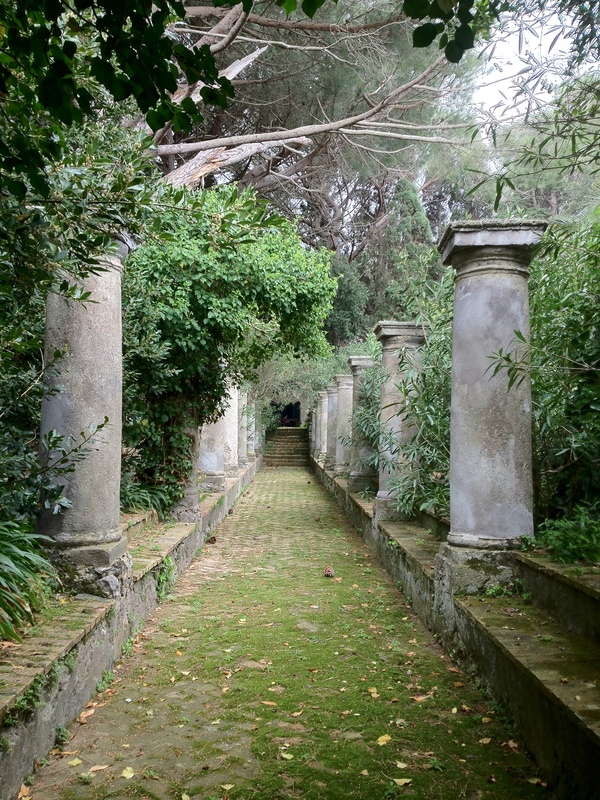 Today you can enjoy the magnificence of the oldest resort in the world just like Jacky O, Audrey Hepburn, Rita Hayworth and many more celebrities and film stars did in the 1950’s when international tourism arrived to Capri. 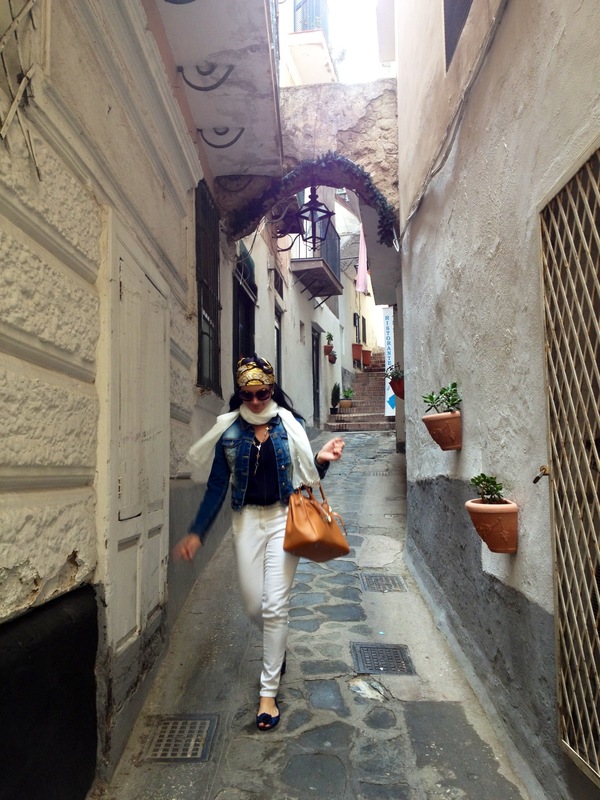 Capri is so charming, an island so fashionable with unique style. 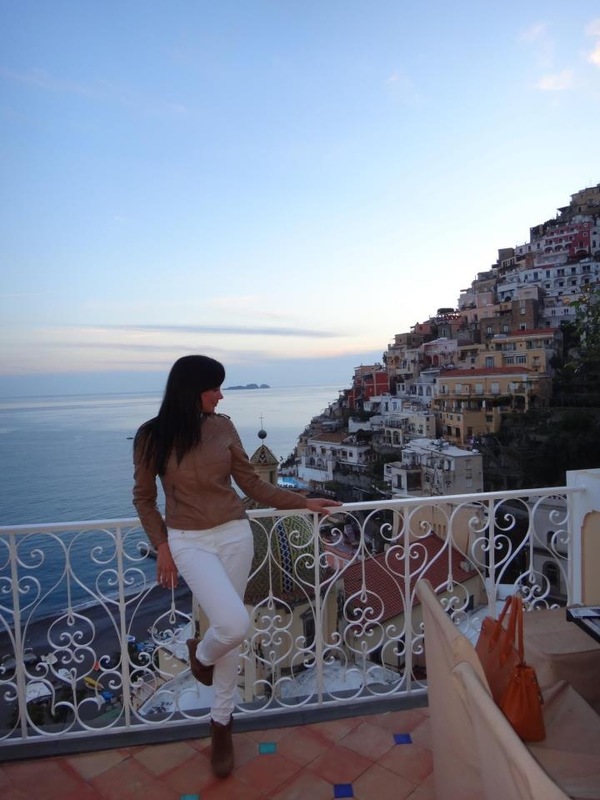 Just stop by the Piazzetta where you can watch the locals wearing their impeccable white pants sipping limoncellos at sunset. Arriving to Marina Grande. 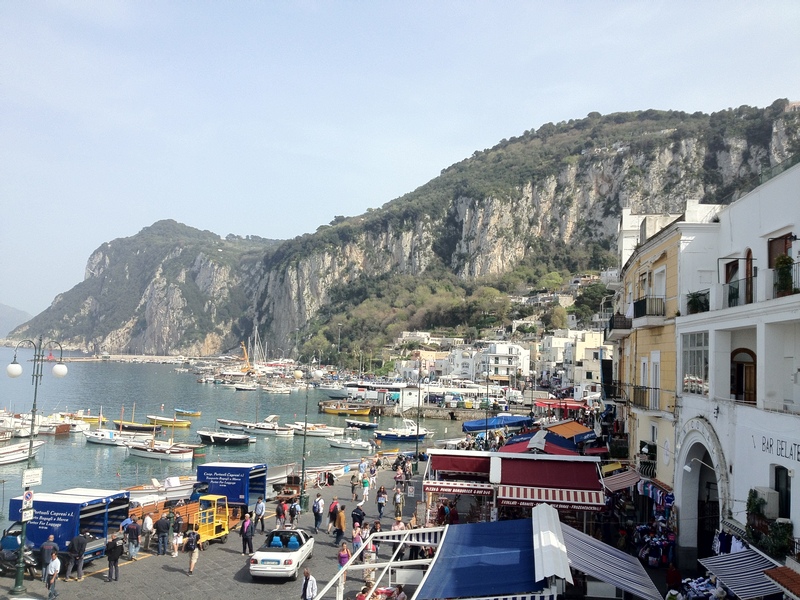 Capri is about 4 square miles, easy to explore. Being there gives you a sensation of being apart from the world, because cars are prohibited in such a small island, you need to walk everywhere. 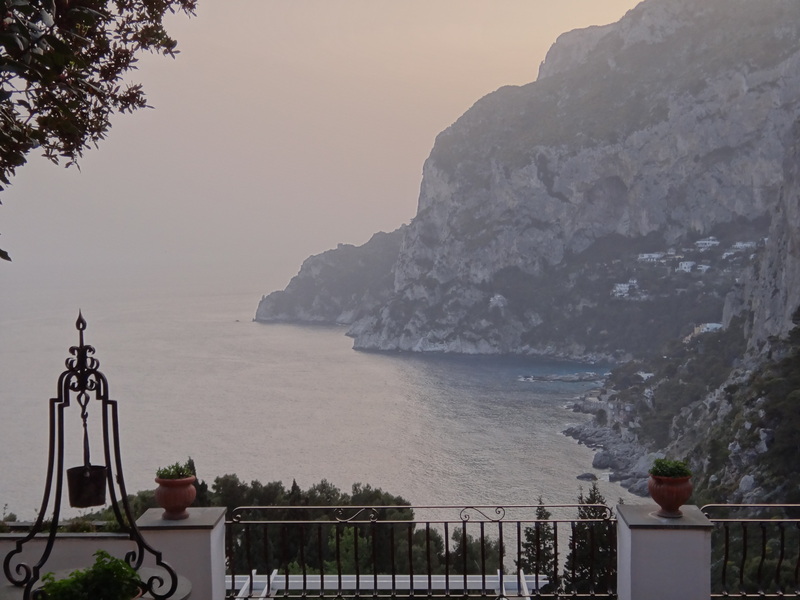 When coming to Capri, don’t expect to rush anything (piano, piano) slowly slowly, this is the land of the “Dolce far niente” (sweet idleness). 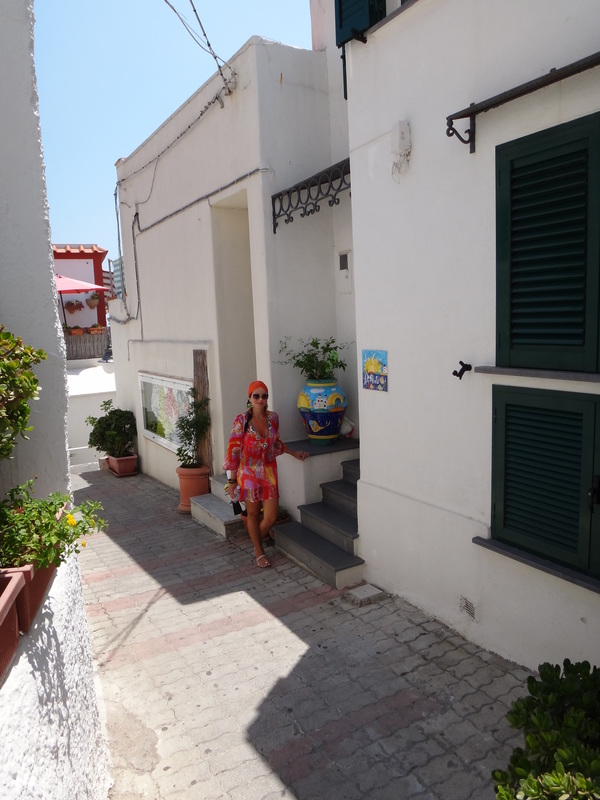 Act like a local, walking the streets Jacky walked, a good excuse to get your hand made sandals to your measure by the local handcrafters, wear oversized sunglasses, a silk foulard in your head and capri pants. 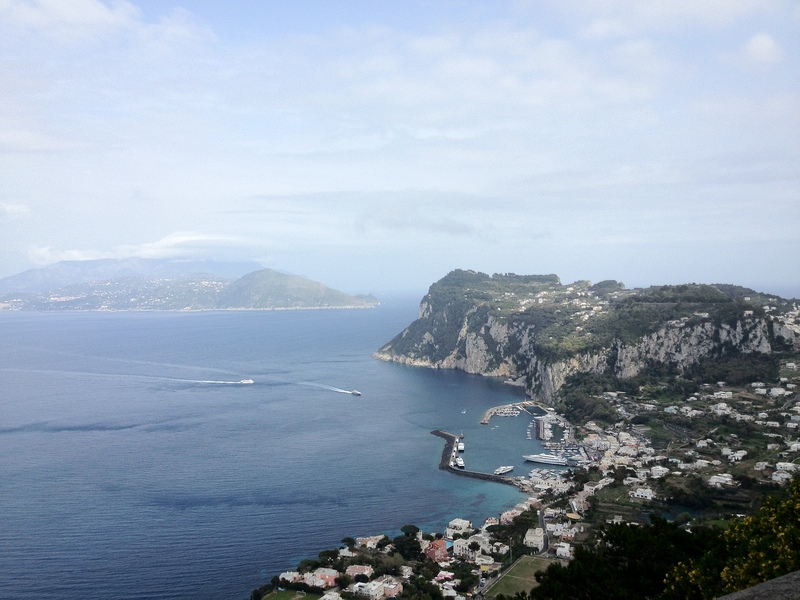 There are many theories about the name Capri, a popular one says that it comes from the Greek “kapros” (wild boar) but the most widely theory is that it derives from the Latin “capreae” (goats) which makes sense been a referred as the Goat Island. 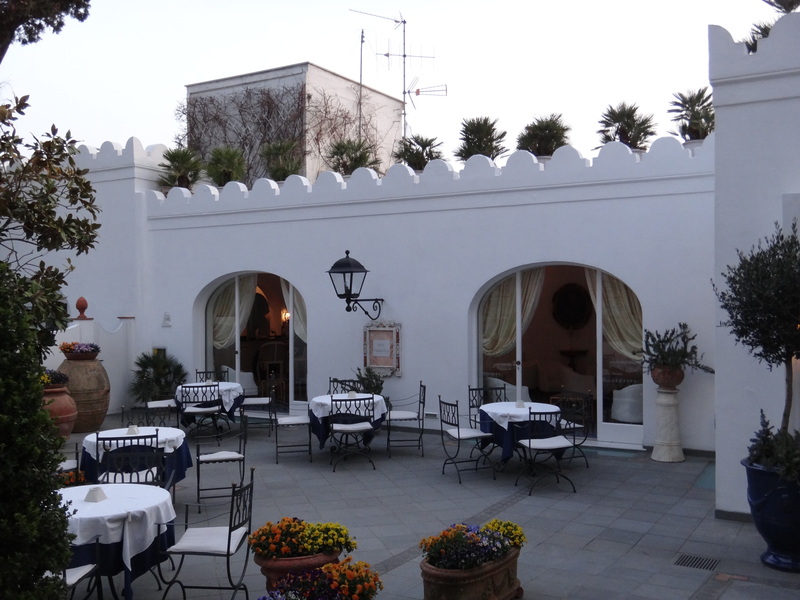 The courtyard at La Scalinatella Hotel was home of the couturier Valentino, now owned by the Morano family, is where Churchill and Maria Callas used to party. La Caponata Caprese, one of my favorite restaurants in Capri is Edode where you can taste their version of “caponata caprese” made with buffalo mozzarella, anchovies, kalamata olives, basil, zucchini, tomatoes and fresh pressed extra virgin olive oil under a bed of whole wheat bread dipped in water and olive oil. 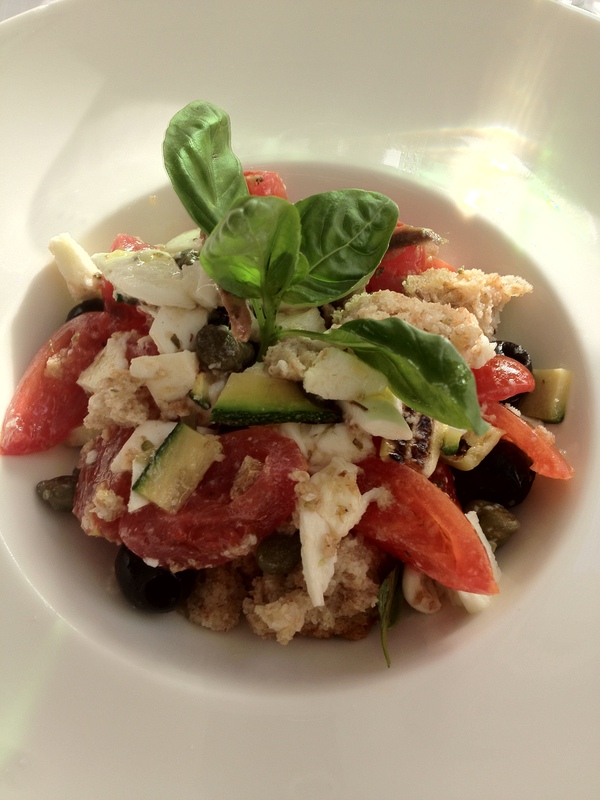 The Caprese cuisine is fresh, simple and less complicated, the fish brought technically from the sea to the table with a few hours of being caught. 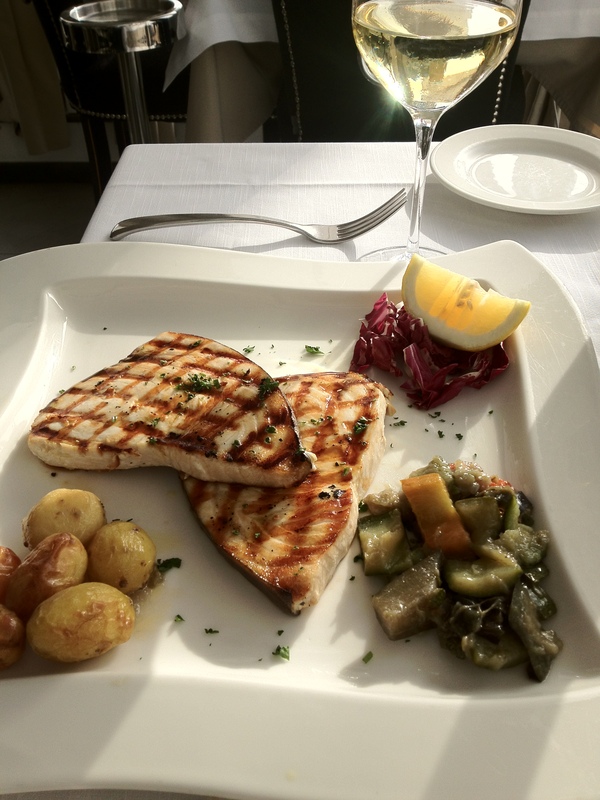 The sword fish pictured here was seasoned with just fresh aromatic herbs, lemon and olive oil. 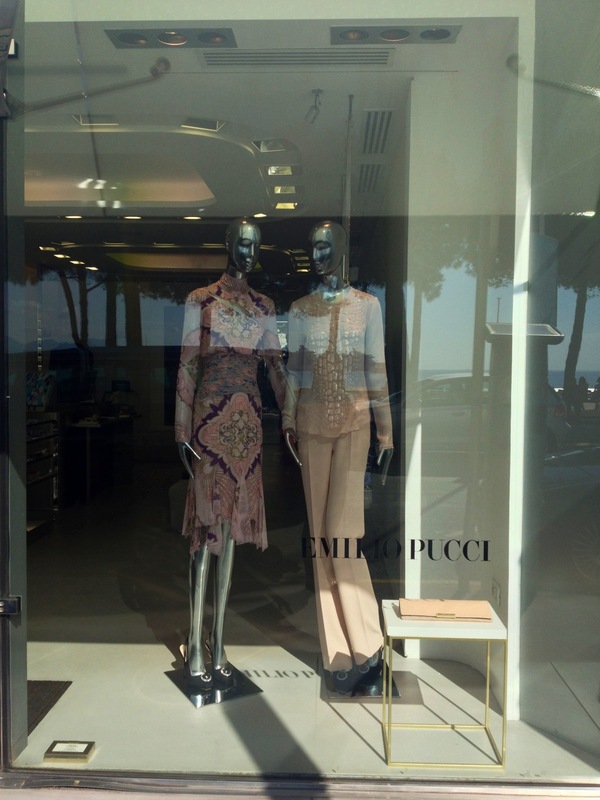 The iconic Caprese boutique “La Parisienne” is perhaps known for the famous Capri trousers, here is where Jacky Kennedy Onassis used to have hers tailor made. 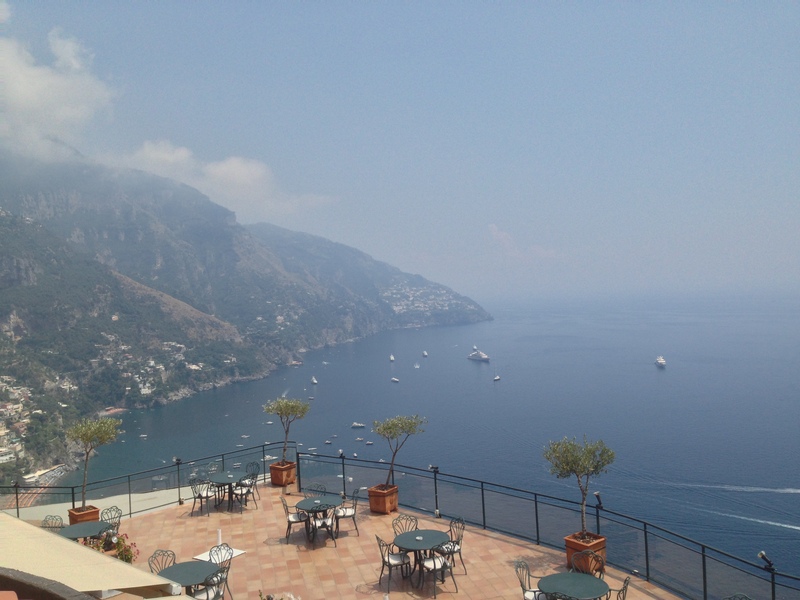 Michael Kors was for years a guest at The Grand Hotel Quisisana and he described the view from the terrace facing Via Camerelle as the front row of a fashion show. Fashion designer Oscar de La Renta went to Capri to receive the award “Tiberio d’oro” at Mare Moda, the island notorious fashion show. 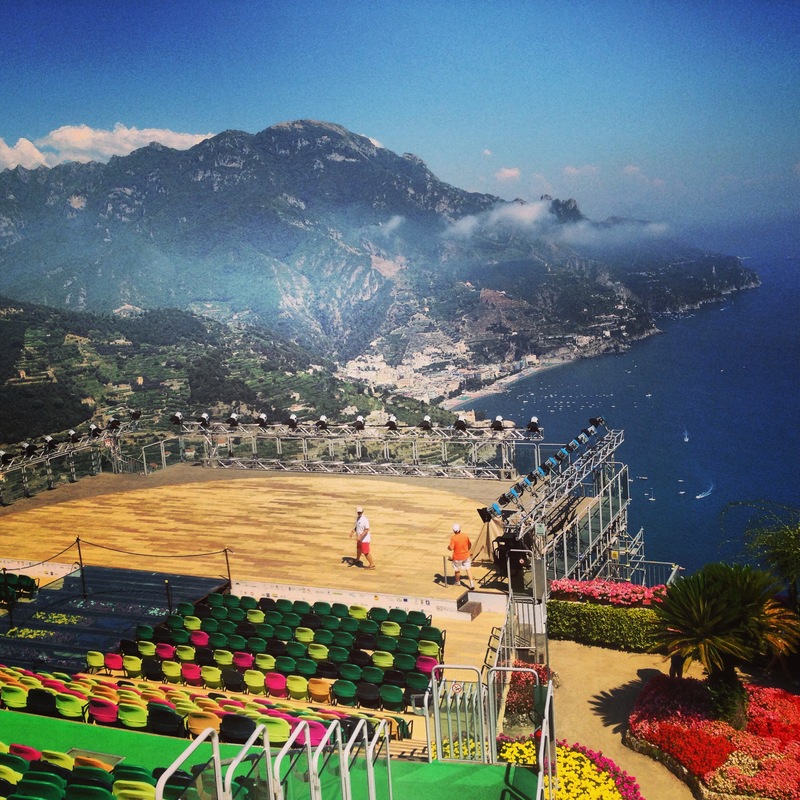 Valentino, Givenchy, Gianfranco Ferre, Missoni, they all came personally to show at Mare Moda. 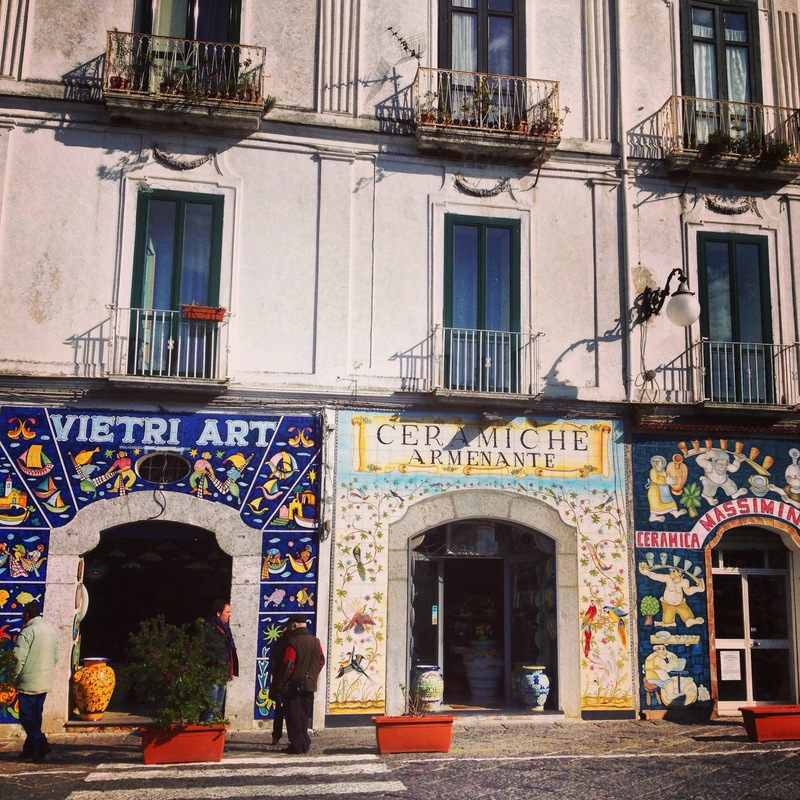 were so characteristic with Capri’s vivid spirit, his boutique in Via Camerelle still stands. 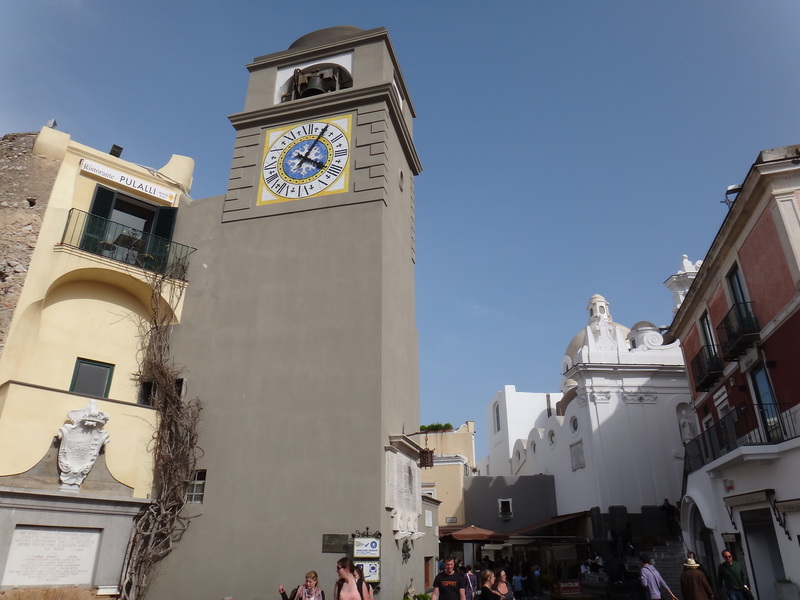 A more recent addition to Capri’s fashion: The Capri watch, has the emblematic clock of the Piazzetta. 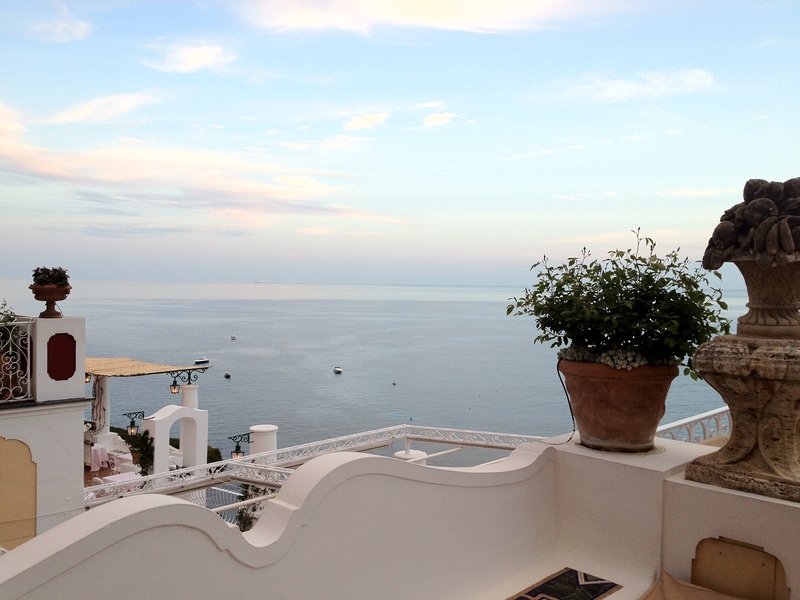 The tradition of sandal making in Capri is known worldwide. My sandal collection is originally made in Capri with 100% Italian leather and Swarovski crystals. 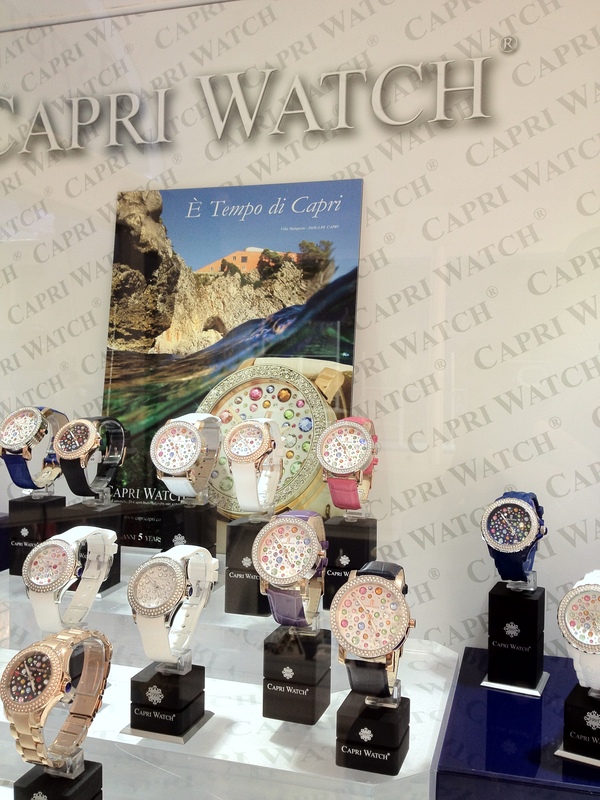 still live… the Capri way, salute!!! (c) 2013 Montserrat Franco. All pictures taken by me. Additional Photo credits: Benny Galasso-Bely Franco. Going to the Amalfi Coast is certainly memorable and a unique experience, the story of Amalfi is linked to the nymph Melphe, the apple of Hercule’s eye and the legend says that he built a city so high on the cliffs to buried her when she died but there is another theory; when Romans lived here in the IV century named it Melfi. Suspended between the sea, sky ad earth the state road 163 twists and turns in an almost never ending path around the Coast, it has stunning views from every corner. 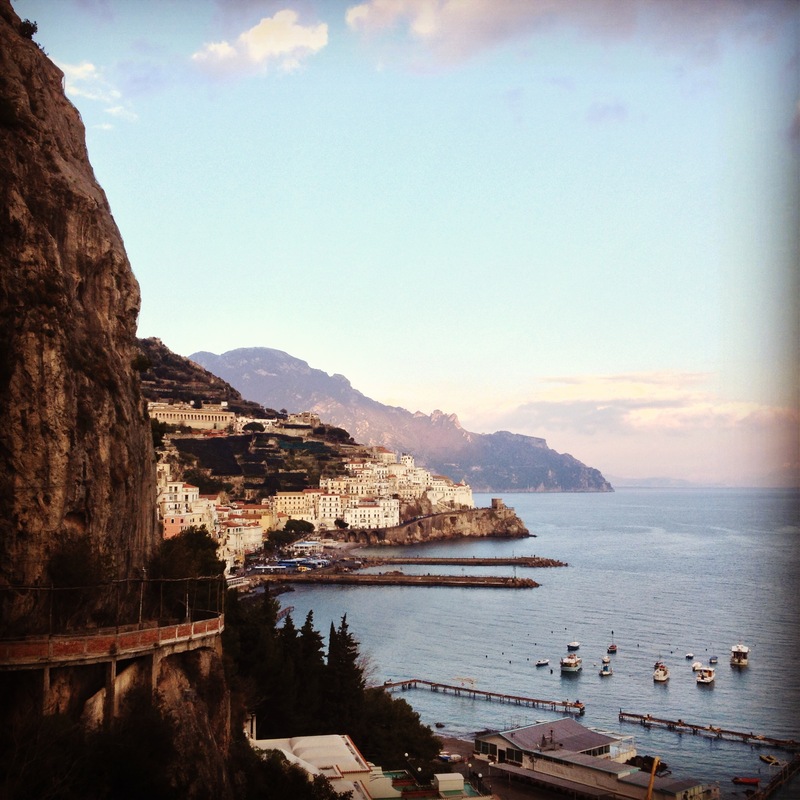 In the 19th century access to the Amalfi coast was very difficult and possible only by the mountains in mules. By the 1900’s the isolation of this part of Italy attracted many travelers. In Edwardian times the coast became a destination of choice by British aristocrats, later actors such as Humphrey Bogart, Greta Garbo and Sophia Loren brought fame to the area. 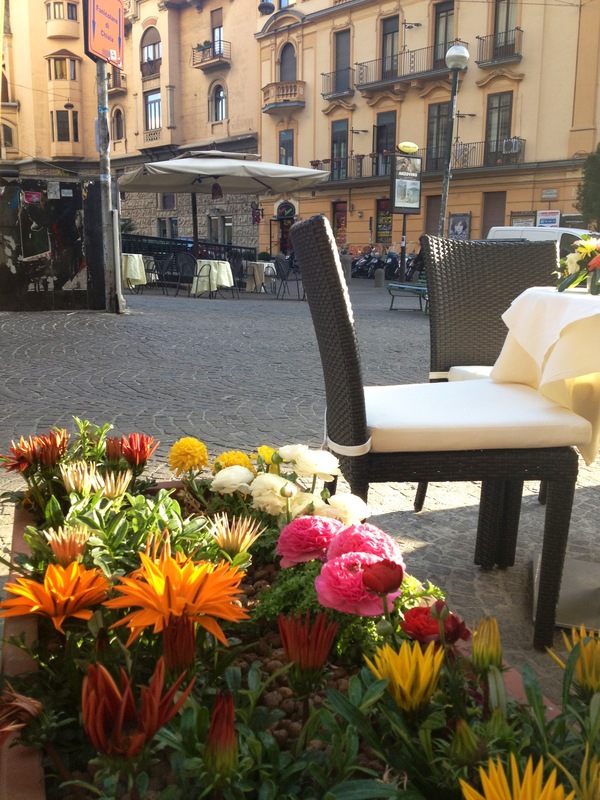 You can find some of the best well kept secret restaurants of Italy (Michellin stars and local eateries) with amazing menus that are well worth the narrowed roadside trip and the headache. Fior di zucca ripiena (stuffed zucchini flower) How beautiful is to eat a flower stuffed with fresh ricotta cheese on a bed of summer tomato sauce. 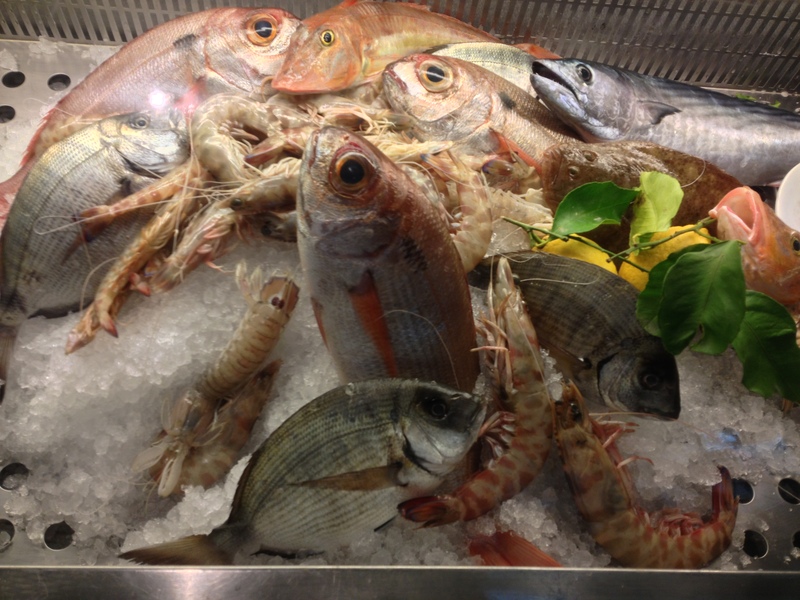 Taverna del Capitano; a family tradition from grandfather Alfonso to son Salvatore Caputo who is one of the youngest recognized star Chefs of Southern Italy. 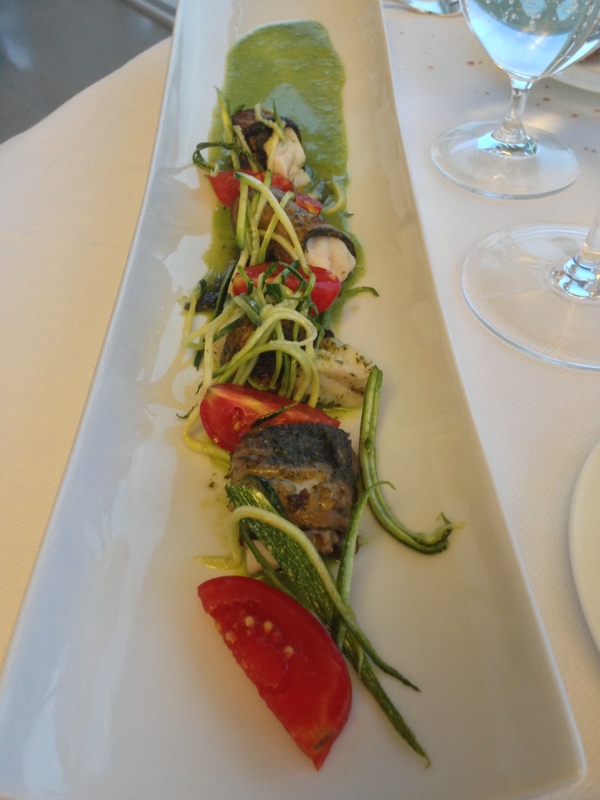 Pictured here marinated spigola (European sea bass) covered with grilled aubergine, with zucchinis in julienne, cherry tomatoes and a bed of aromatic herb sauce. 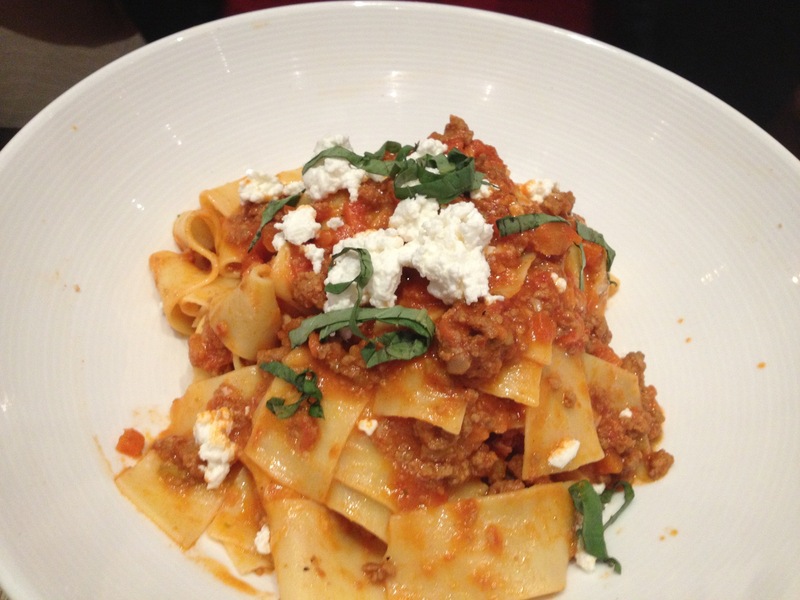 I paired this dish with Marisa Cuomo’s Amalfi Coast Fior D’Uva wine. 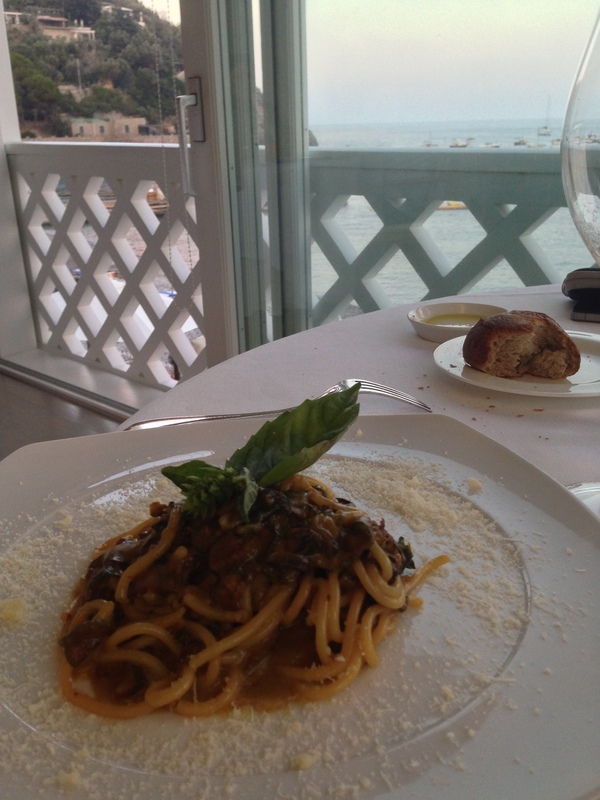 Spaghetti alla Nerano, since you are in Nerano you must try this fresh hand made pasta which definitely tastes better with the fantastic view. 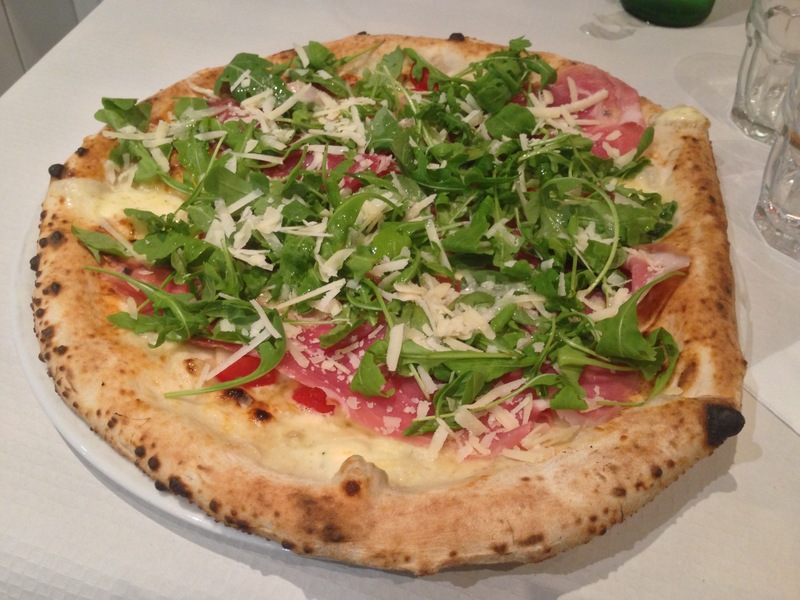 It is characteristic with the bold flavors of the Provolone del Monaco cheese and slices of zucchini. 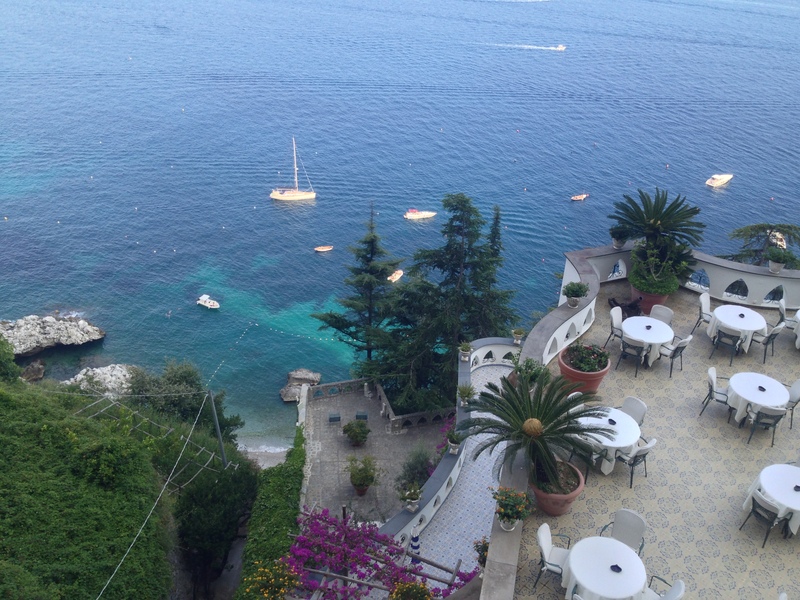 The view from Le Sirenuse Hotel opened in 1951 when the Marchesi Sersale turned their summer house in to a charming Hotel. Mozzarella di Bufala. I stopped at Next Café in Positano to savor this fresh traditional soft cheese eaten only within a day or so of being made, solely from the milk of water buffalo. 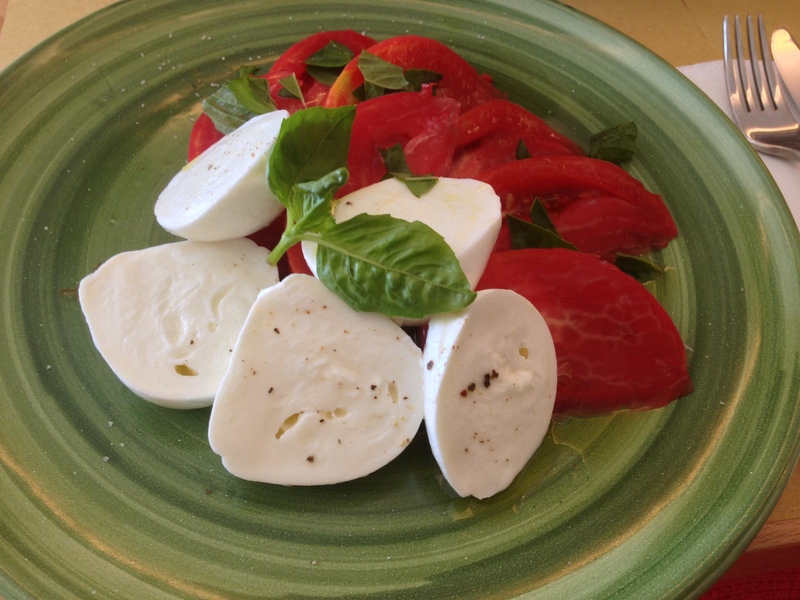 In the Amalfi coast the Buffalo mozzarella is produced in Tramonti. Before arriving to Amalfi I had to make a stop and contemplate the Fiordo of Furore, fishermen houses clinging on the rocky mountains. Be aware of the many steps you will need to climb from the road to the beach and careful with that 2 way road that fits only one car at a time. 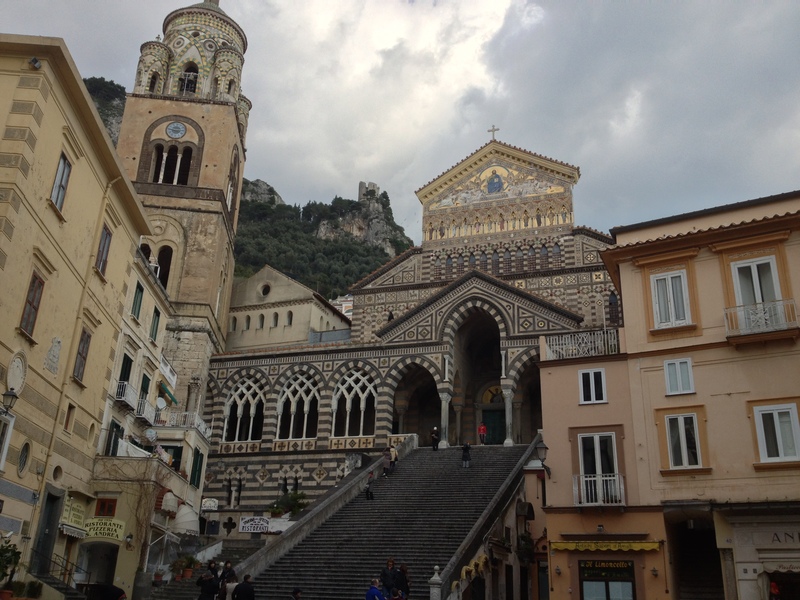 Amalfi has the glamour of the once glorious maritime Republic, the Duomo di St Andrea was founded in the 9th century and rebuilt in Romanesque style in the 11th century. 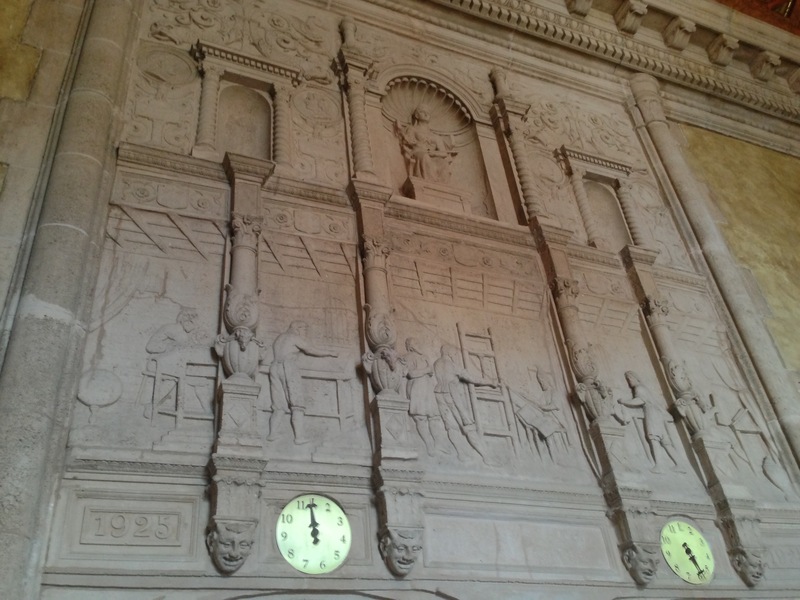 The campanile is is decorated with Arabic like interlaced arches, typical of the Southern Italian Romanesque. 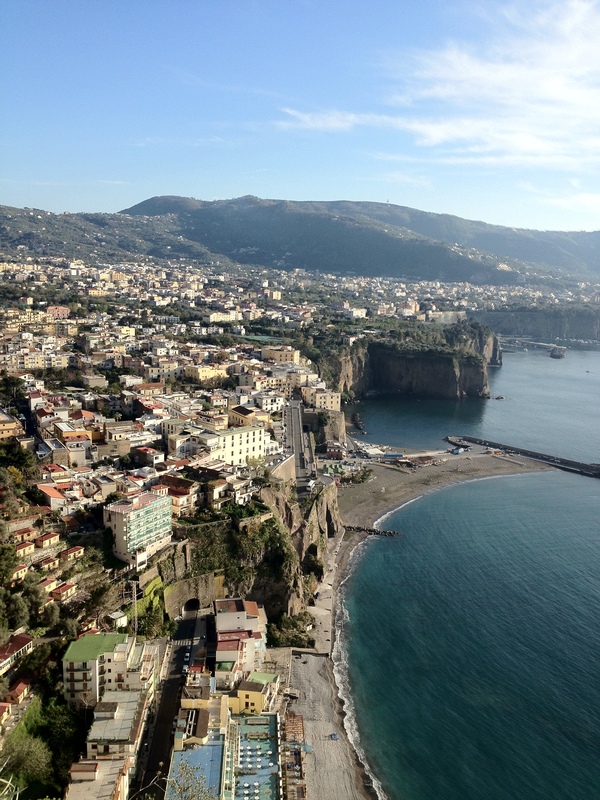 the next towns along the coastline are Maiori, Minori and Cetara where the ancient Maritime Republic arsenals were situated, dates back to Roman times. 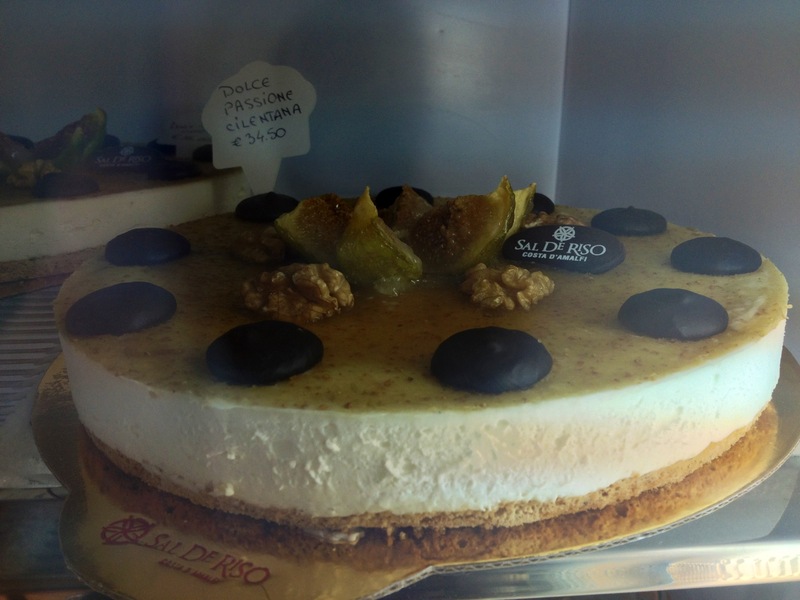 Stopping at Sal Di Riso’s bakery is a must while in Minori, Salvatore di Riso was the first Pastry Chef from Southern Italy to be admitted in to the prestigious Italian Master Pastry Chef Academy. 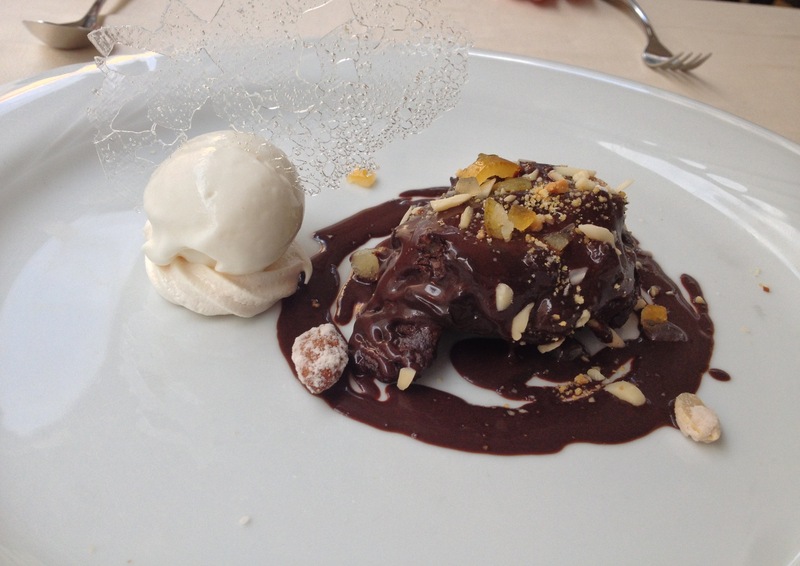 His renowned cakes and desserts are world famous, Pope John Paul II approved. 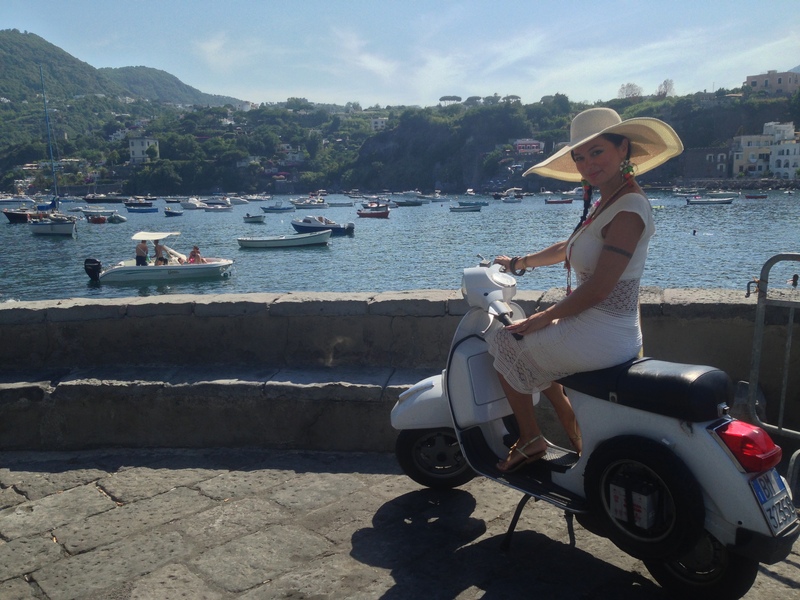 After my last stop at Vietri sul Mare I am ready to head back to Naples. 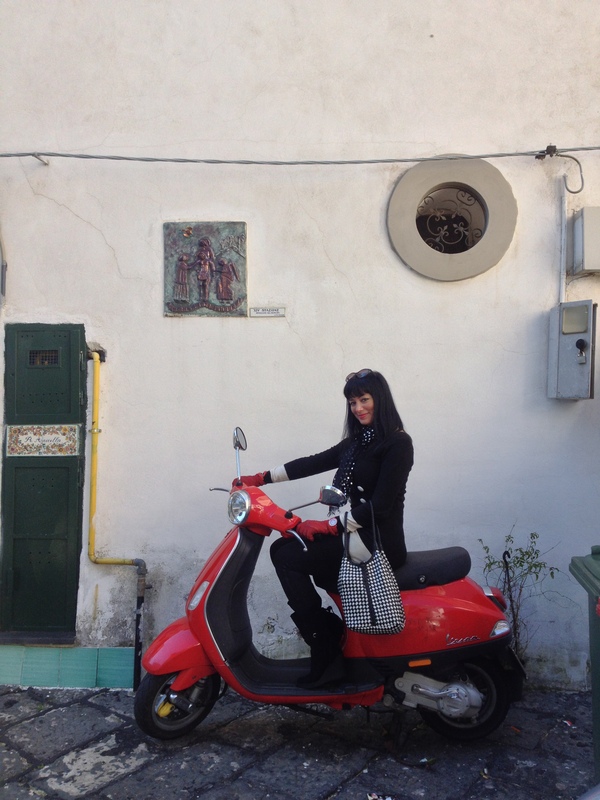 I love to go to the Amalfi Coast in winter as well. 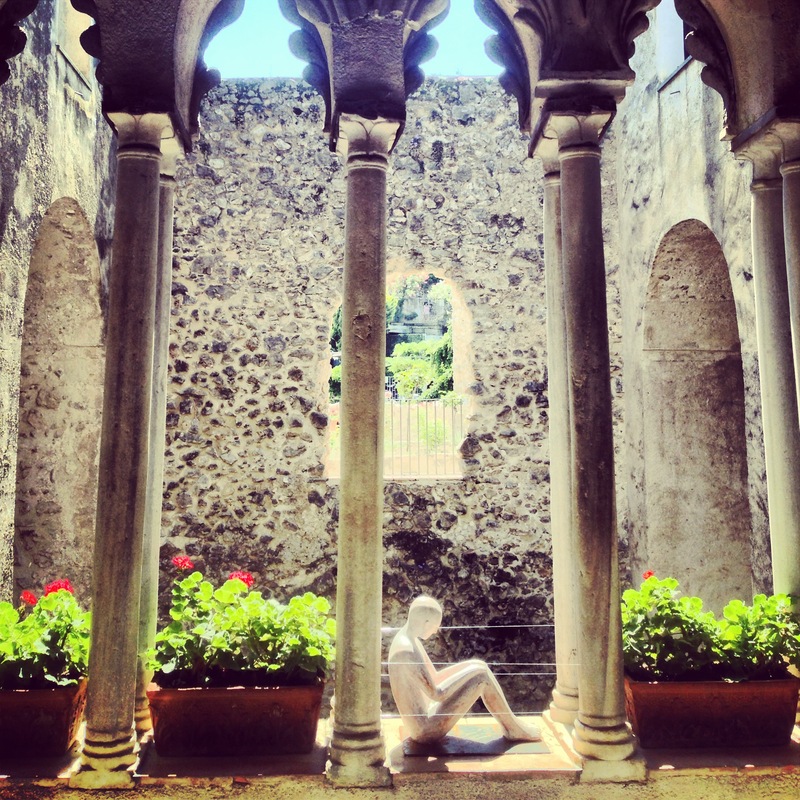 Continuing with our trips around Naples at the top of the hill is one of the most important monuments in the city, the Certosa di San Martino (San Martino’s charterhouse). You can reach this part of town from Chiaia via de funiculars or by Vespa which is the best way of transportation in Naples due to traffic, the narrowed streets and of course…the parking, besides getting around on a Vespa can only make your trip in Italian cities even more authentic. 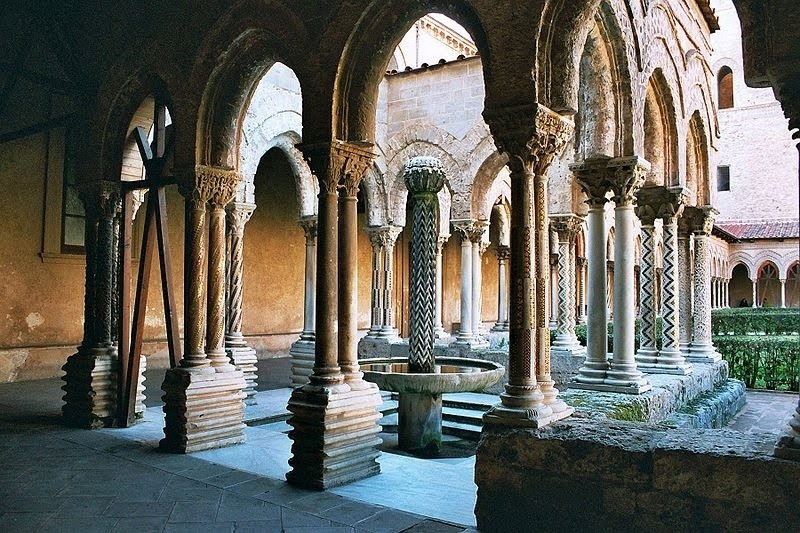 After the unification of Italy the San Martino cloisters were drastically restructured. 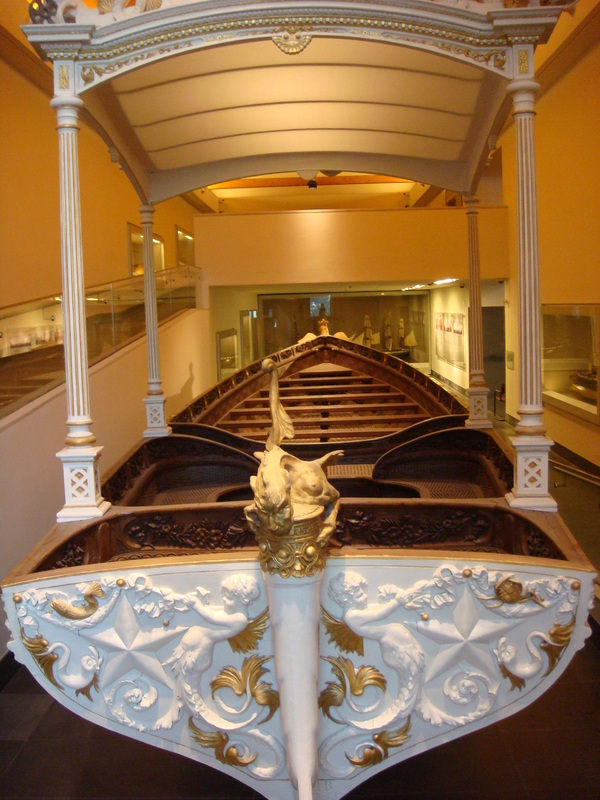 Originally built in the XIV century, part of the complex was turned in to a Museum. 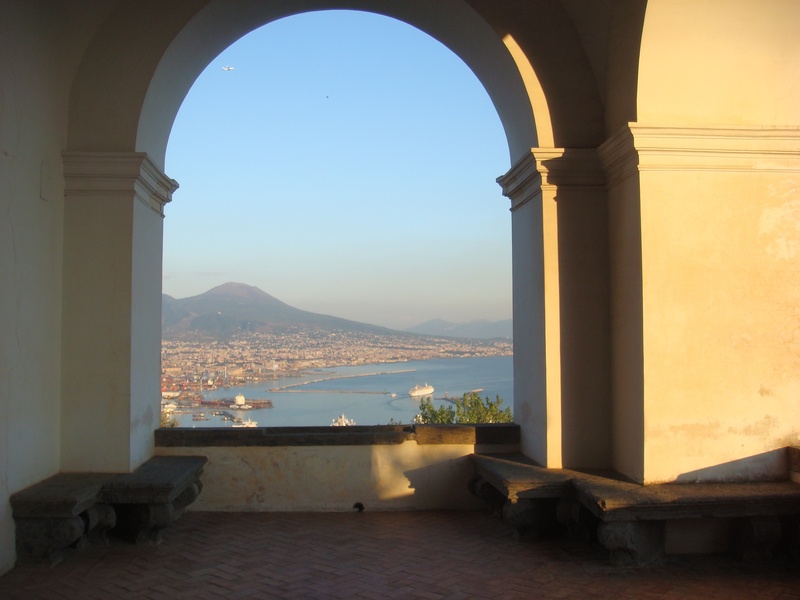 From there the dramatic views of the Gulf of Naples and the Vesuvius. 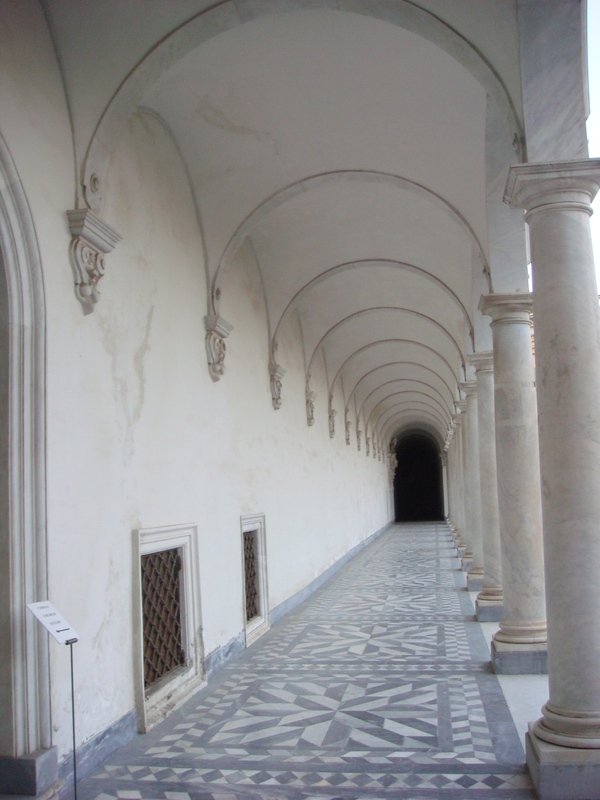 Carthusian monks lived in the Monastery designed by Giovanni Antonio Dosio at the end of the XVI century. 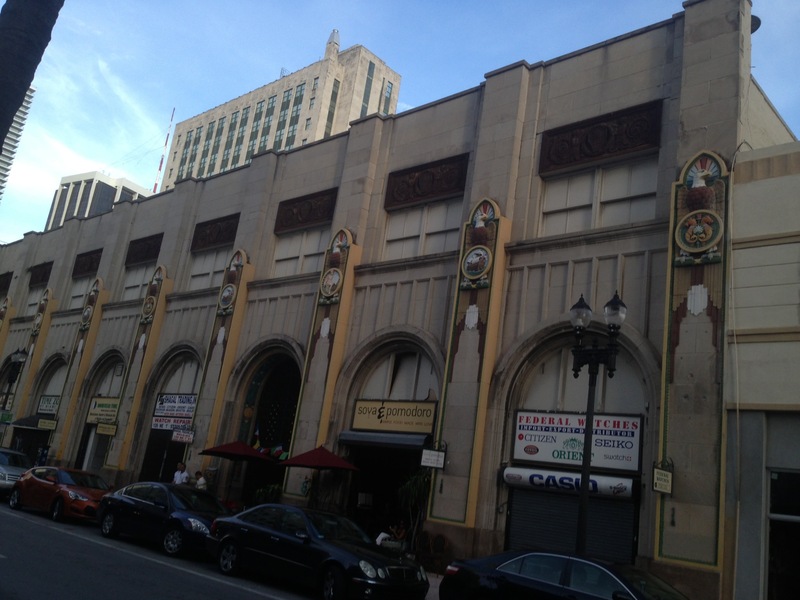 The original look dramatically changed over the years with Baroque and Mannerist rebuilding. 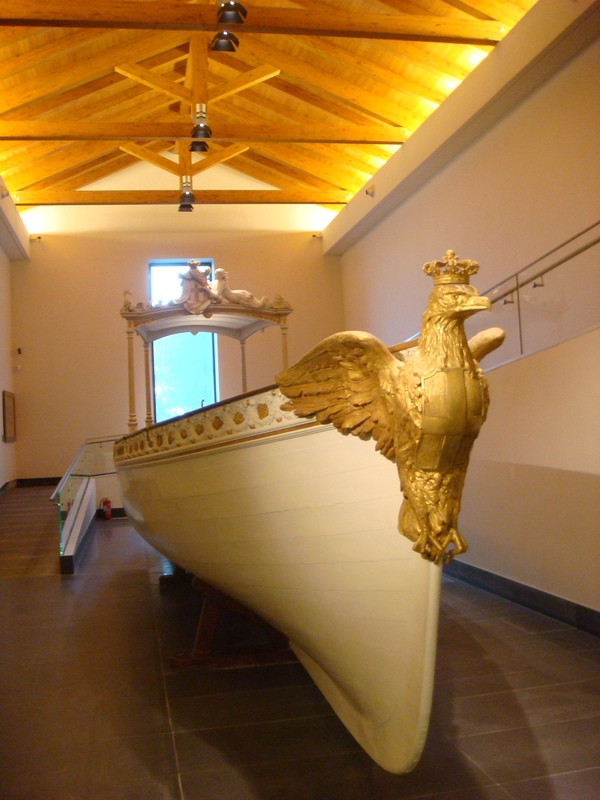 Inside the Museum of San Martino there are permanent and itinerant exhibitions like the Bourbon Royal Boat from an exhibit in collaboration with the Naval Museum of Naples. 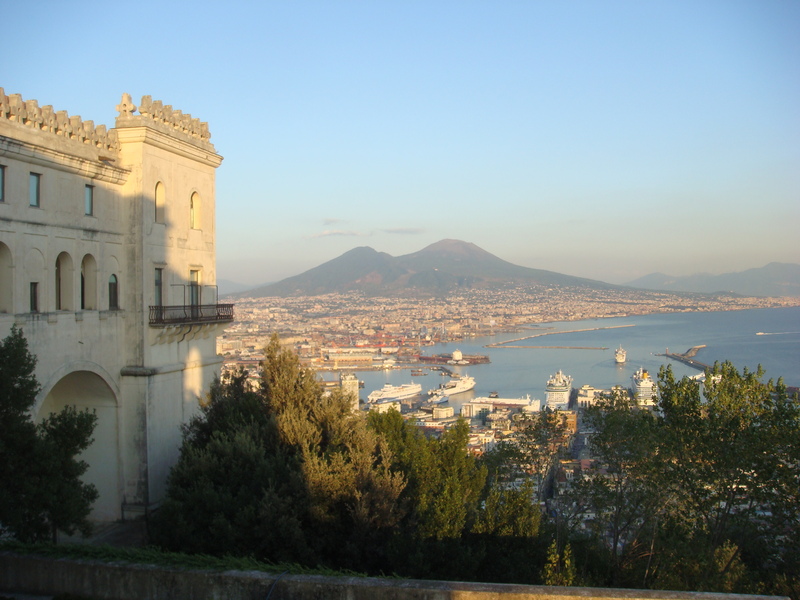 From the Aragonese to the Bourbon dynasties the Museum of San Martino presents important pieces dedicated to the Kingdom of Naples. 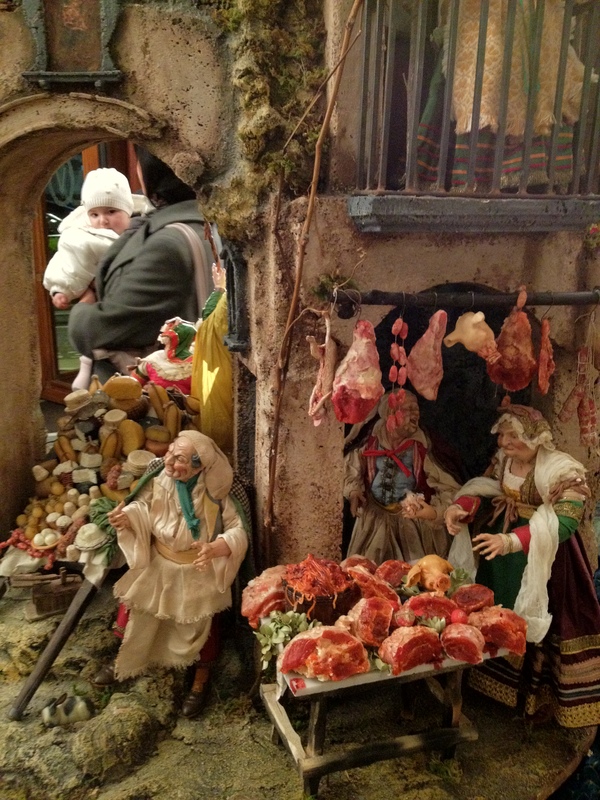 The Nativity scenes (Presepe) became a form of art and a very important part of the Neapolitan tradition in the 19th century. 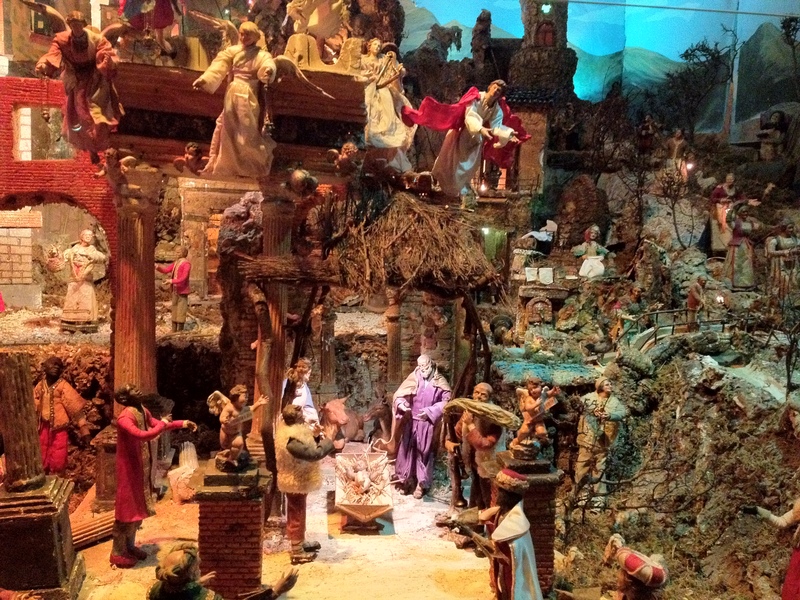 This part of the Museum dedicates an entire section to The Presepe. Even Pulcinella is part of the Presepe (Nativity) Pulcinella is a classical character from the “commedia dell’arte” and is a tradition in the Neapolitan puppetry. 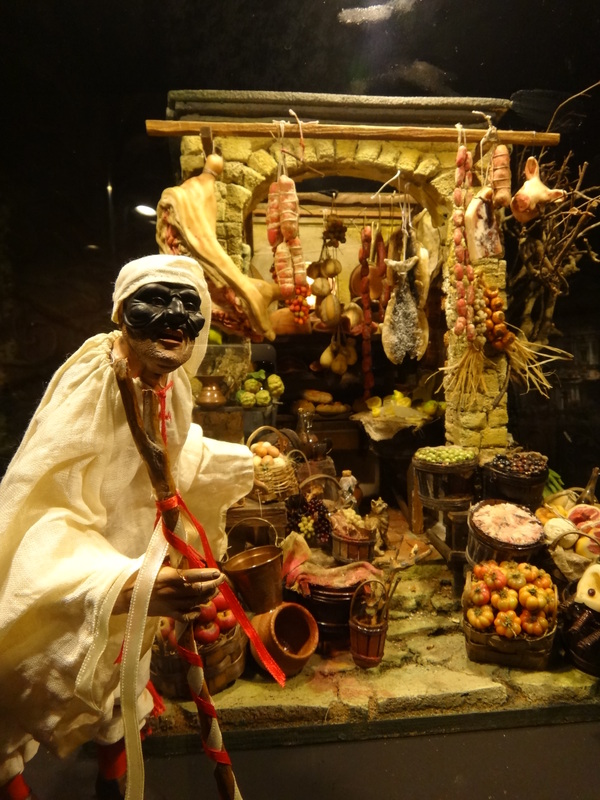 It shows how characters from different periods of time are mixed up, note the hanging baccala (cod fish) the provolone del Monaco cheese, the ugly tomatoes on a basket. 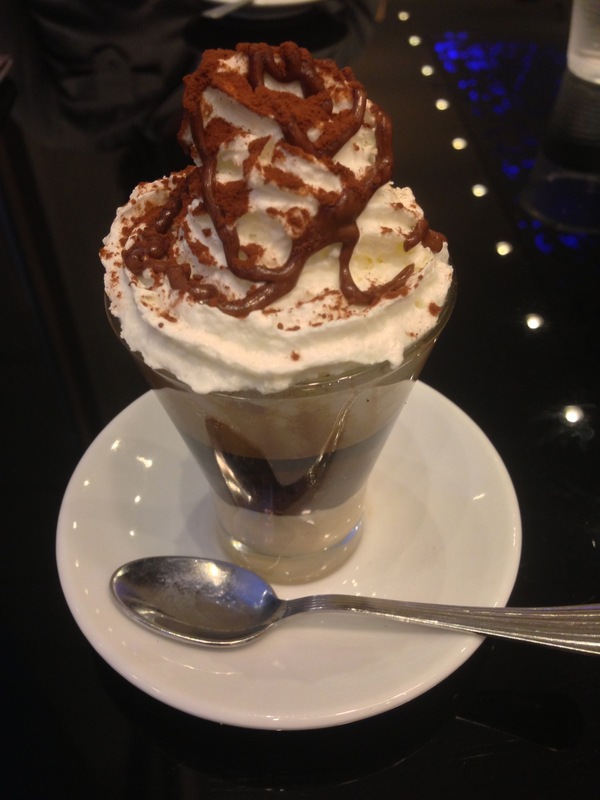 In Naples coffee is a ceremony, the Neapolitans love their espressos very strong and you can have them everywhere, plenty of historic coffee shops and pasticcerias (cake shops) offering a wide range of coffee brands, many of them born in Naples such as Pasalacqua and Kenon. In fact the moka pot (Napoletana) is a Neapolitan invention dated back from the late 19th centuries. 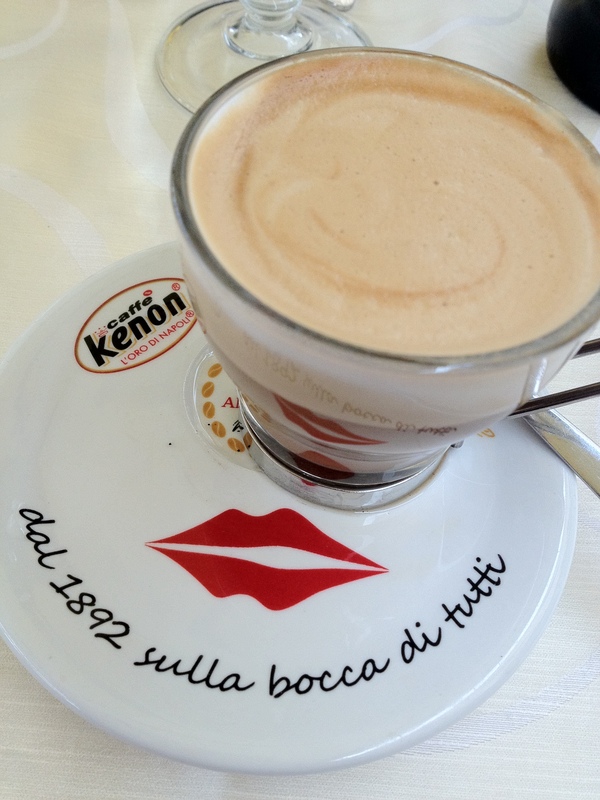 Coffee time in Naples is anytime, I take mine macchiato (with a dash of foam) if you are watching the line ask for “dietor” a low calorie non aspartame sweetener because they will assume you will drink your coffee with sugar. 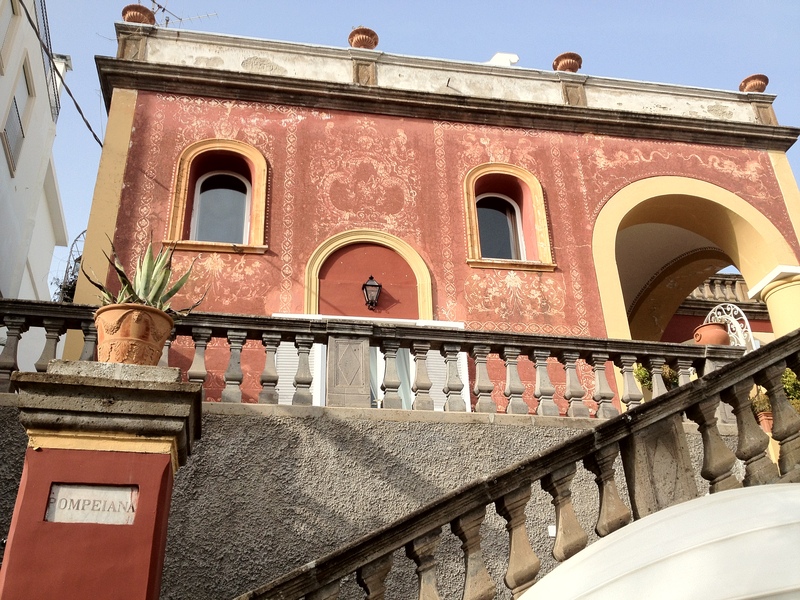 Scaturchio, one of the traditional coffee and cake shops in the Vomero quarter right next to the Funiculare station. Café Biandini , as you can see most coffee shops in Italy sell more than coffee, they are also a bar, a bakery and some offer a lunch menu and aperitif buffet from 5 pm. 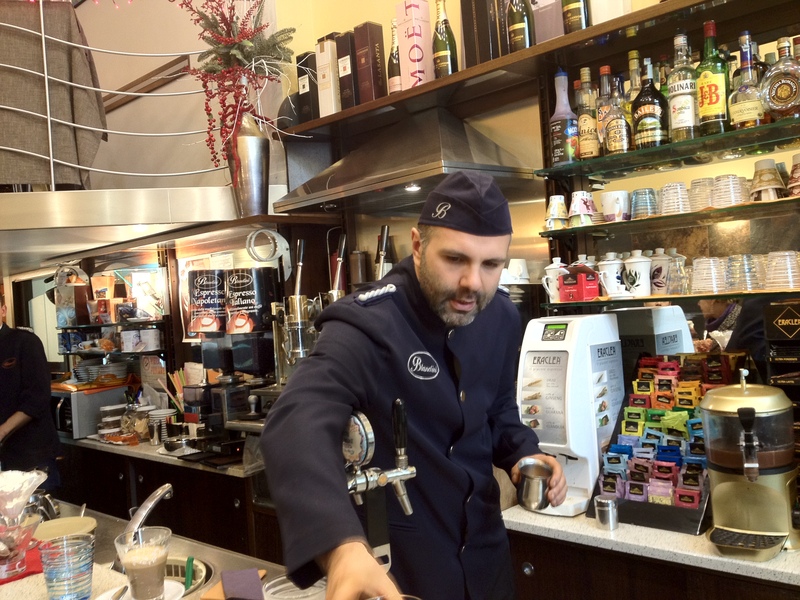 I love the elegant uniforms their trained baristas wear. 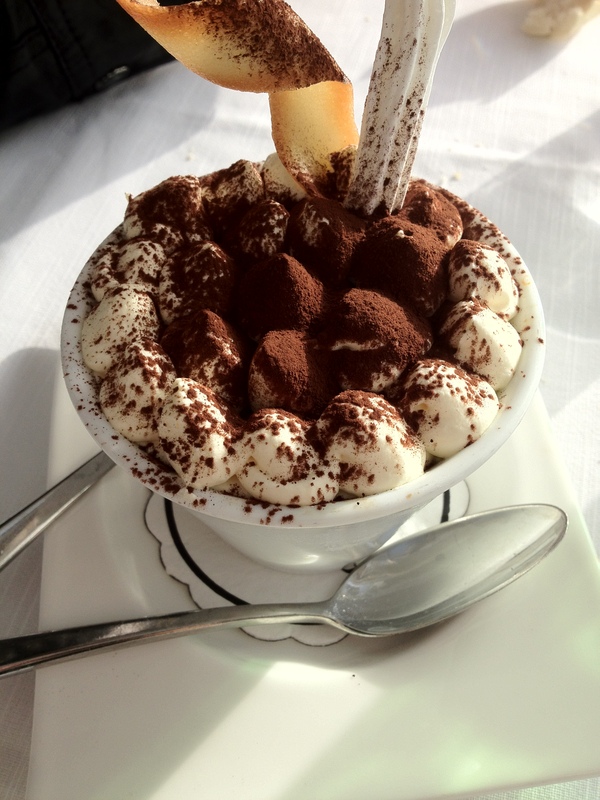 Italians know if someone is not Italian when they order cappuccinos during the day, afternoon or after a meal. 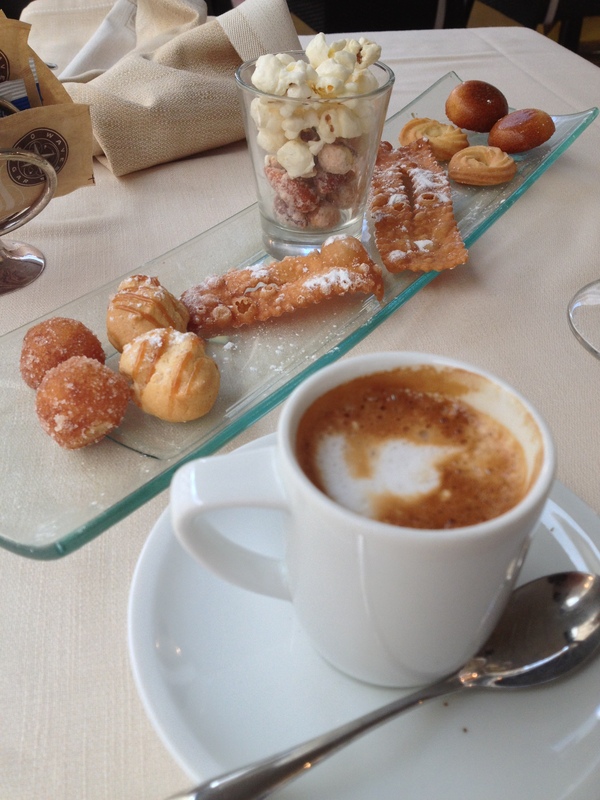 Cappuccinos are meant to be drunk only with breakfast, with those delicious “cornettis” (pastries). After lunch or diner they drink their espressos. Coffee is a way of expression and is a form of art. 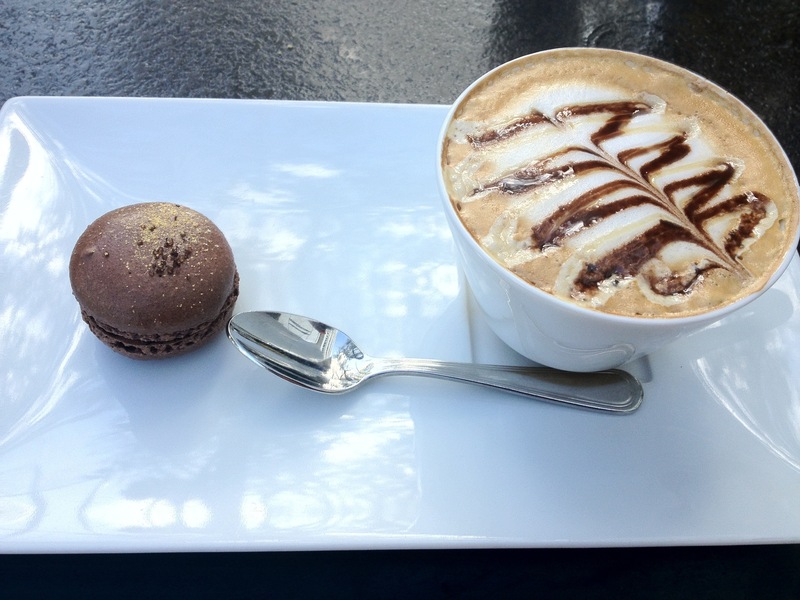 Enjoy an espresso before or after your Museum visit. See you tomorrow!!! 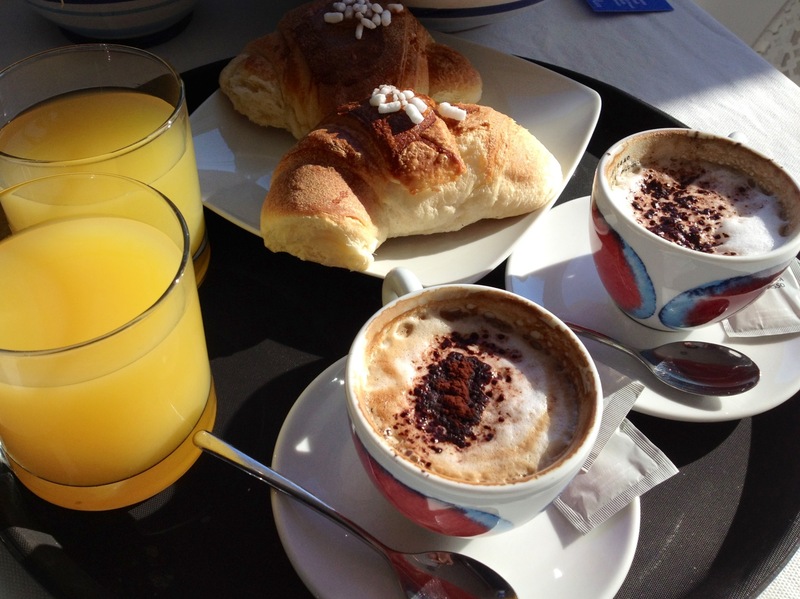 A classic Italian breakfast: cappuccino, orange juice and cornettis, the pastries can be plain or filled with nutella, marmalade or chocolate. (c) 2013 Montserrat Franco. All pictures by me taken with IPhone 4S and Sony Cybershot.